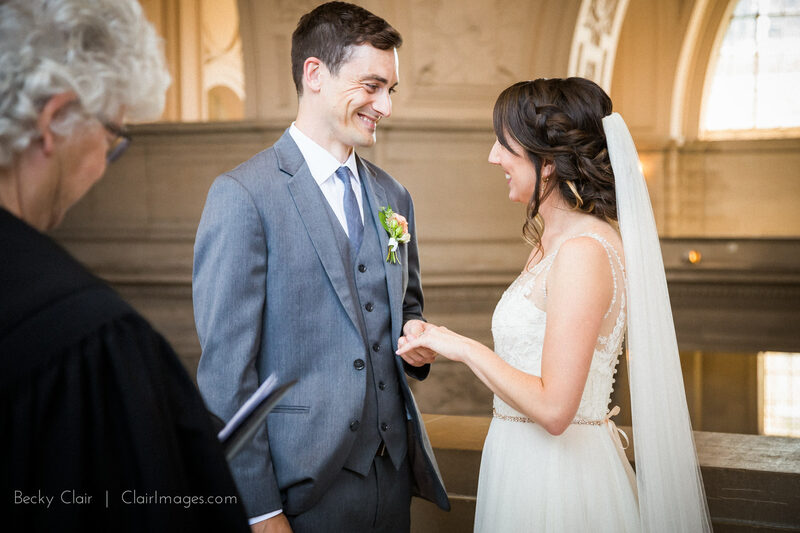 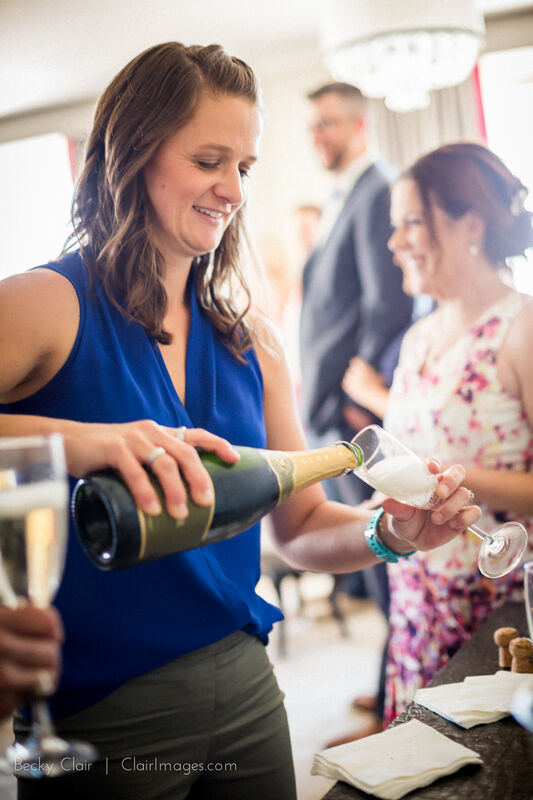 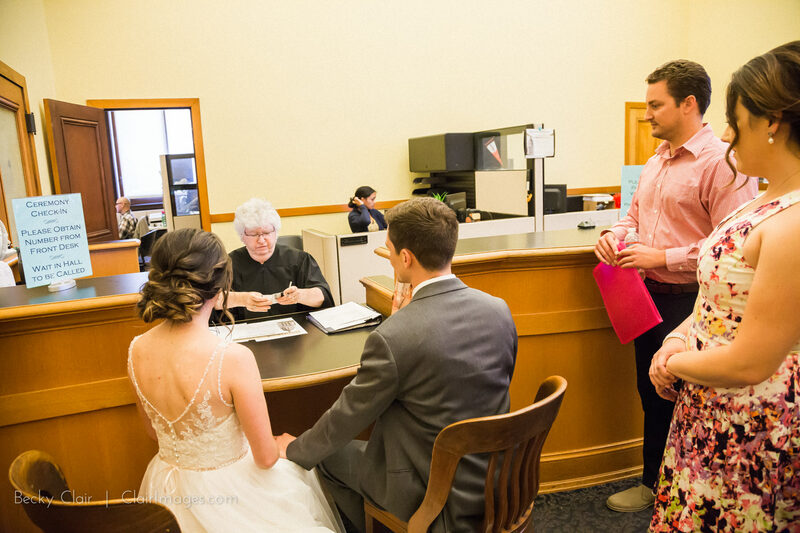 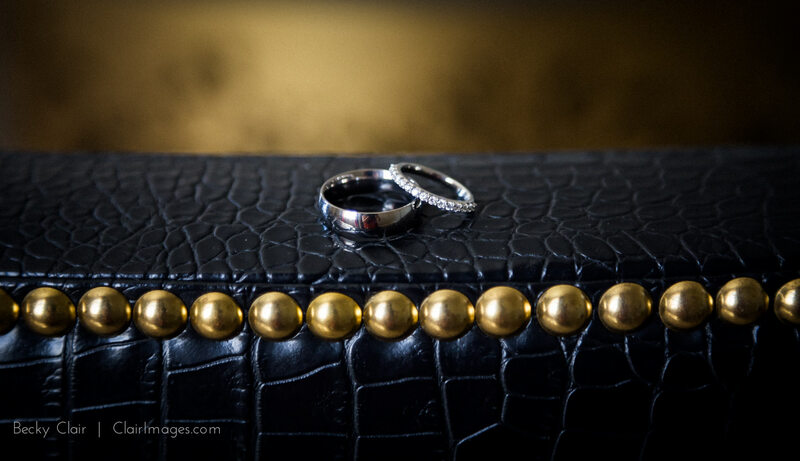 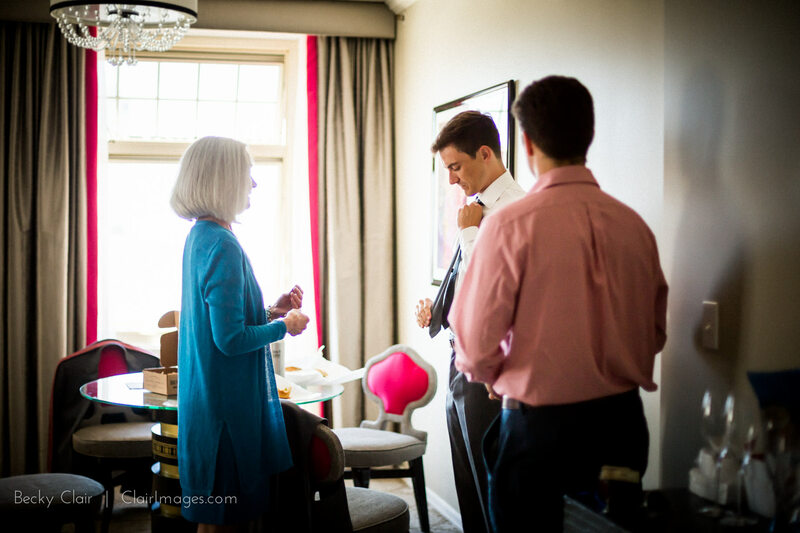 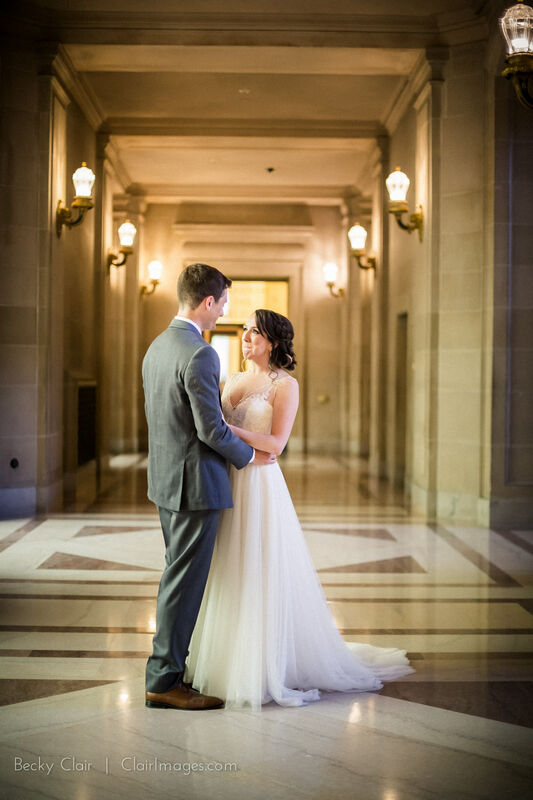 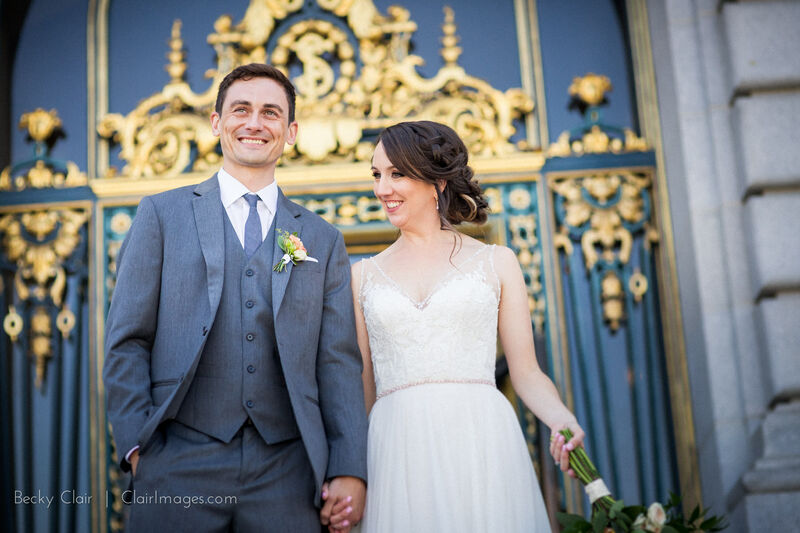 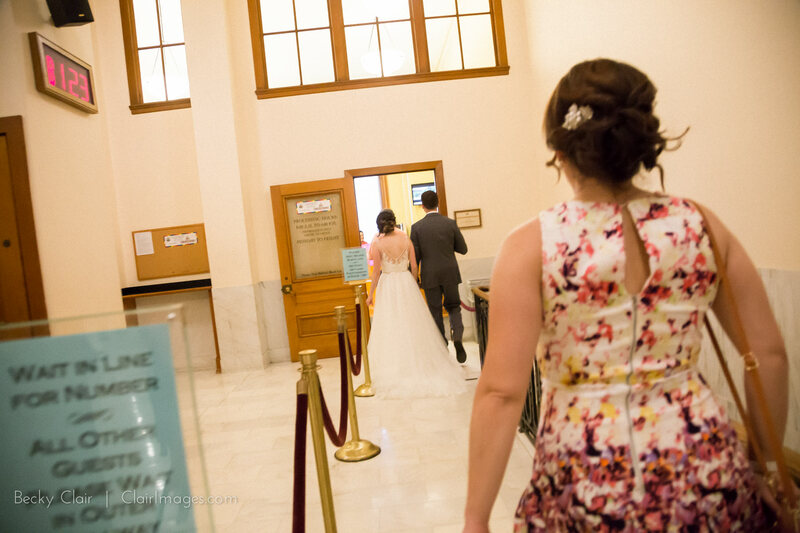 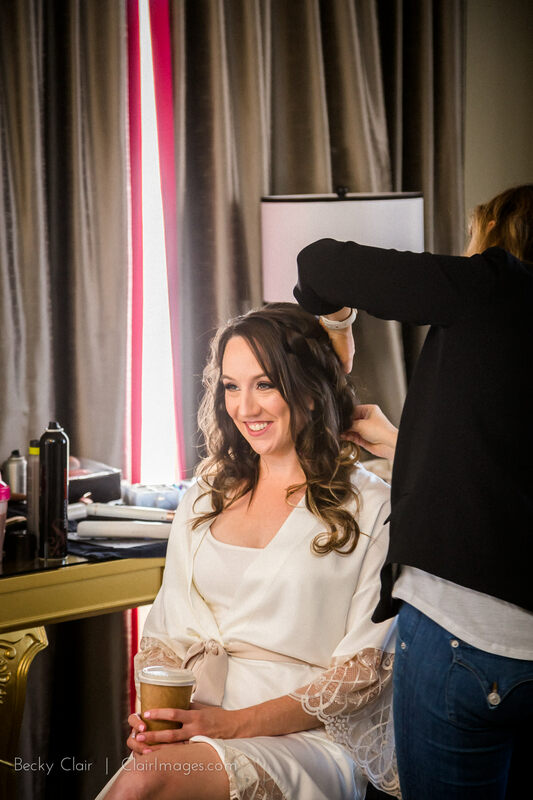 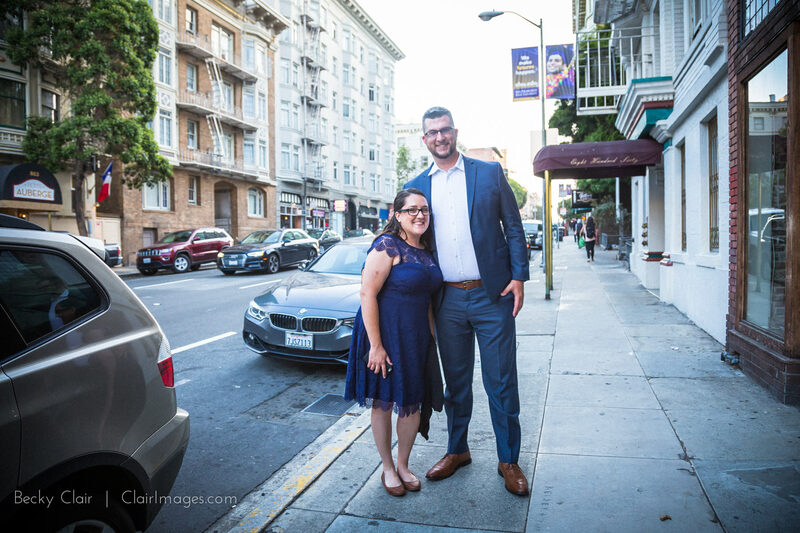 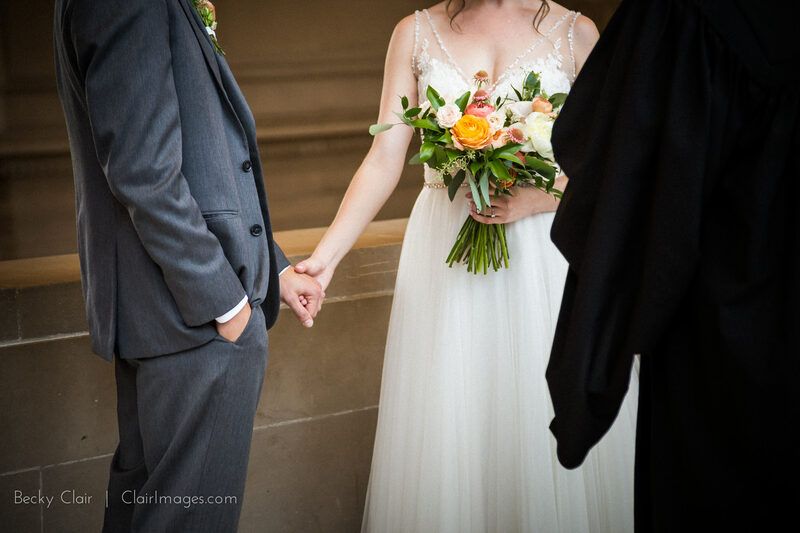 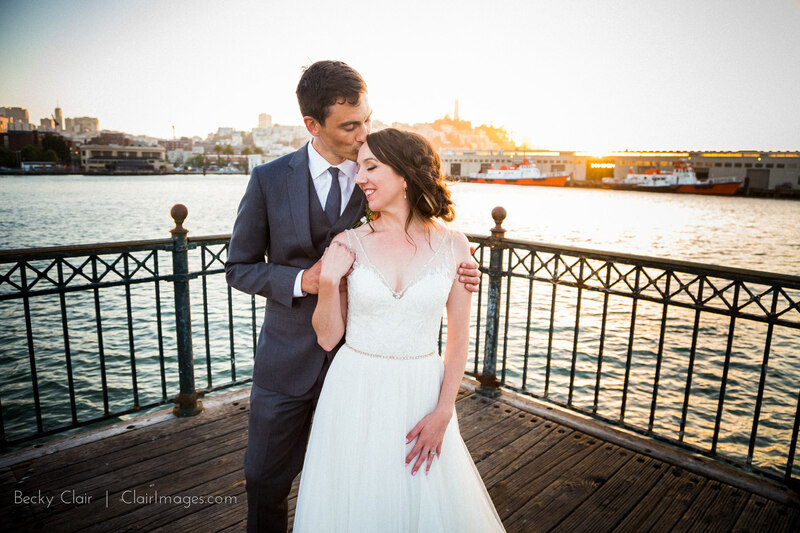 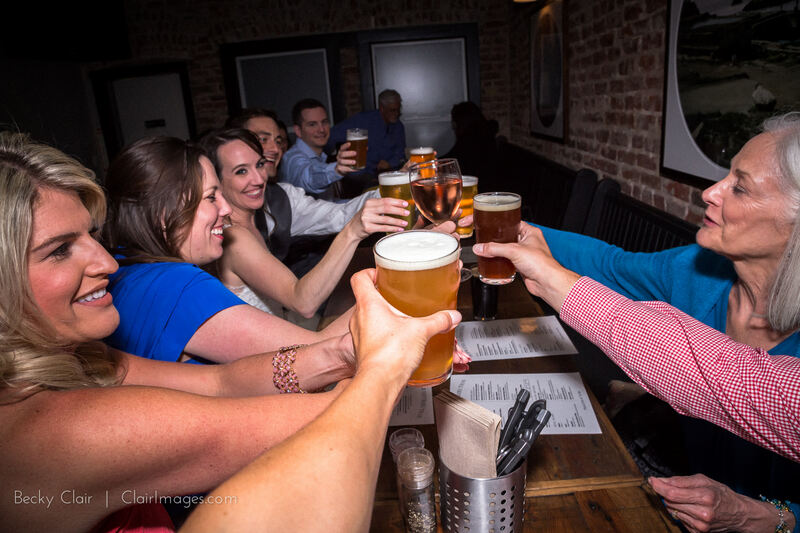 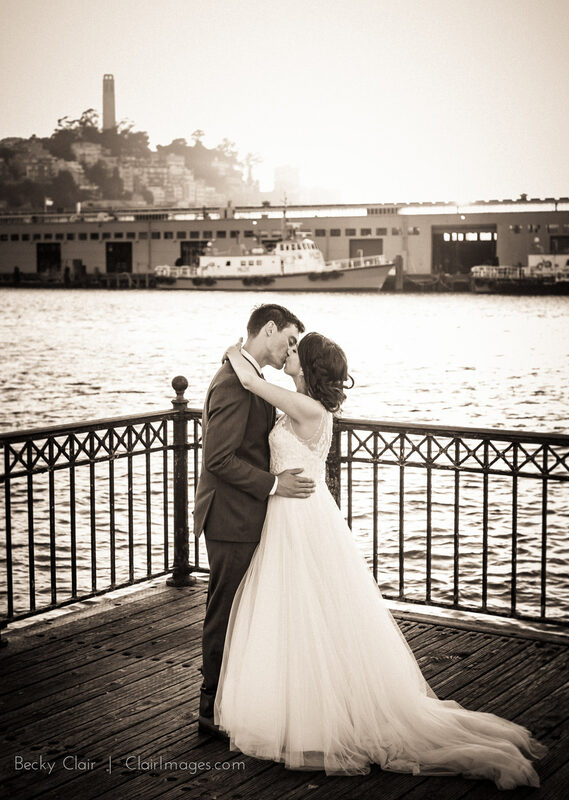 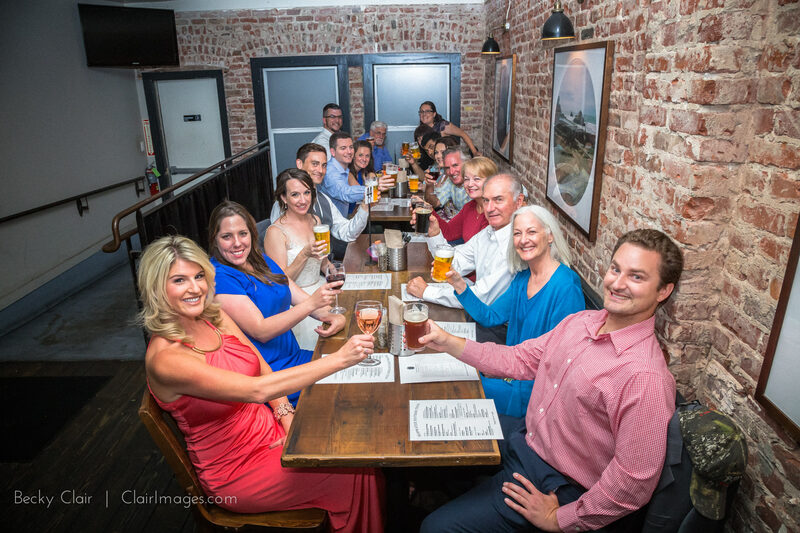 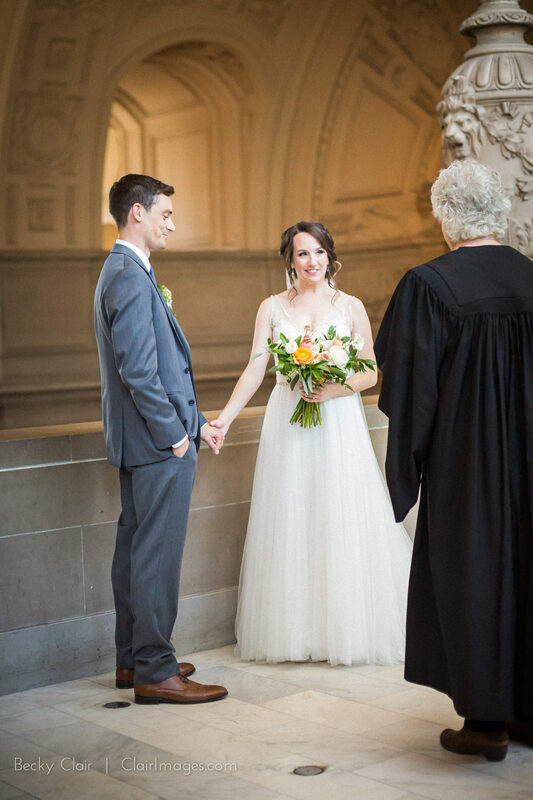 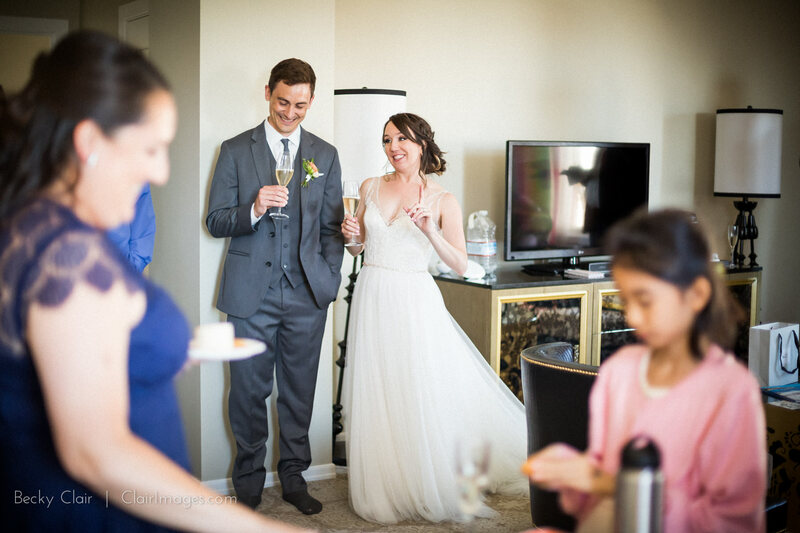 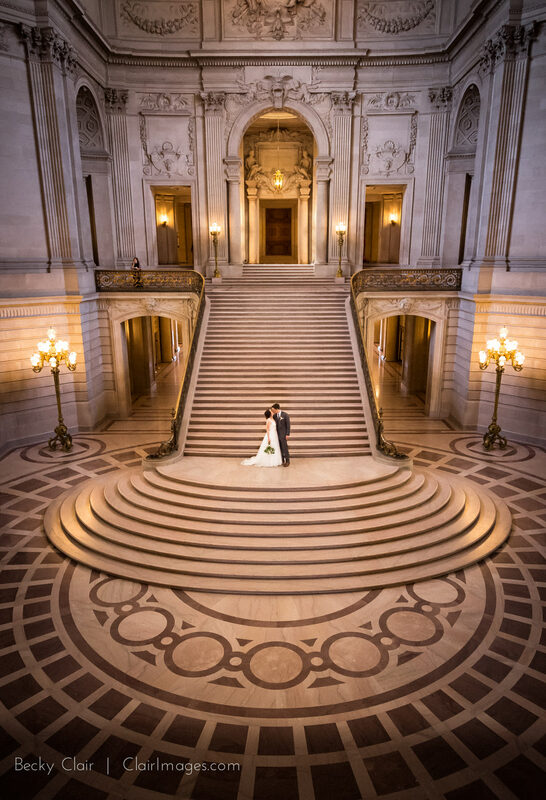 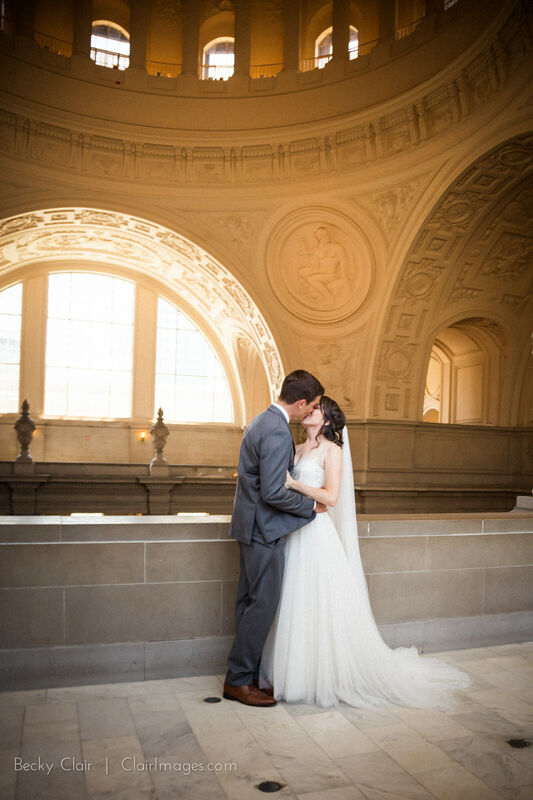 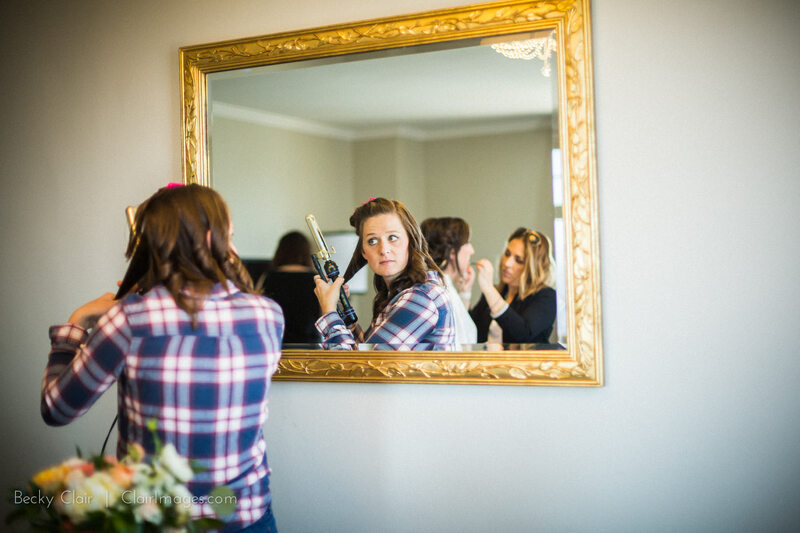 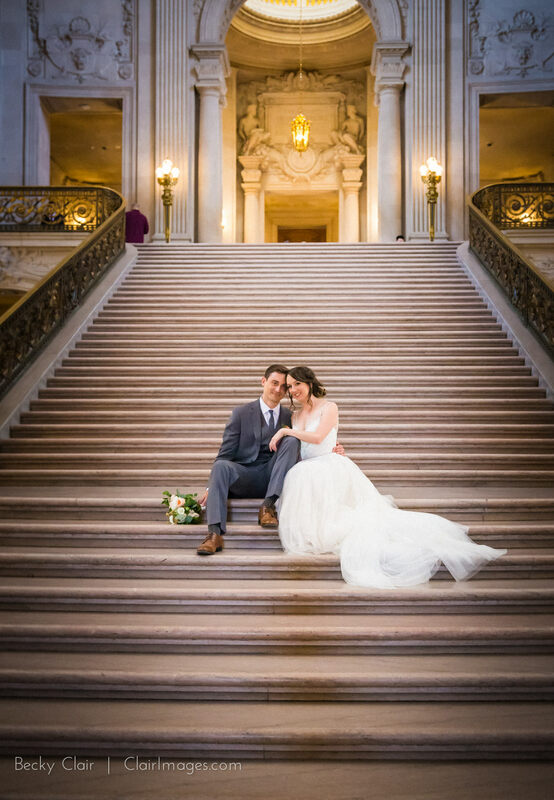 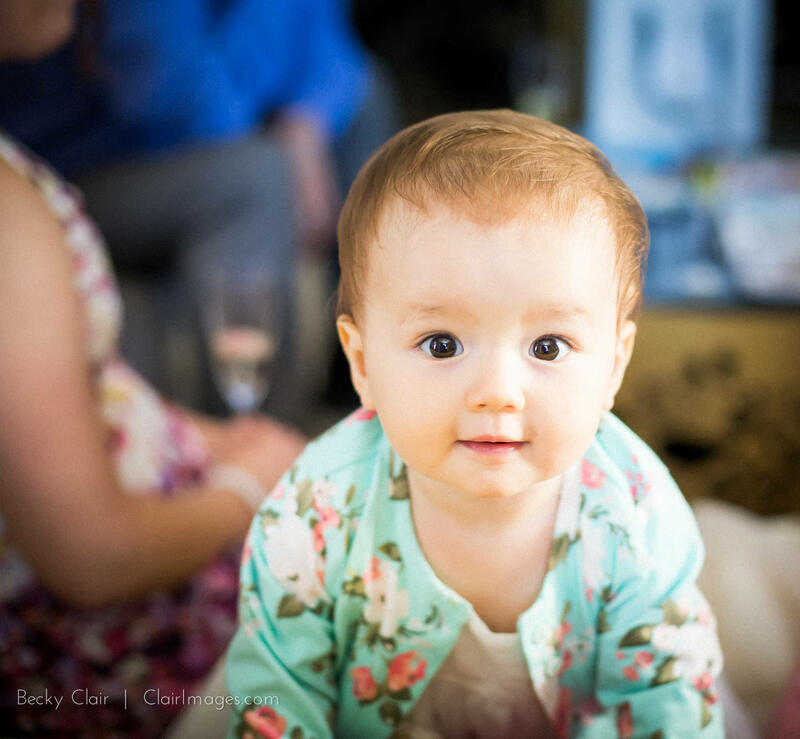 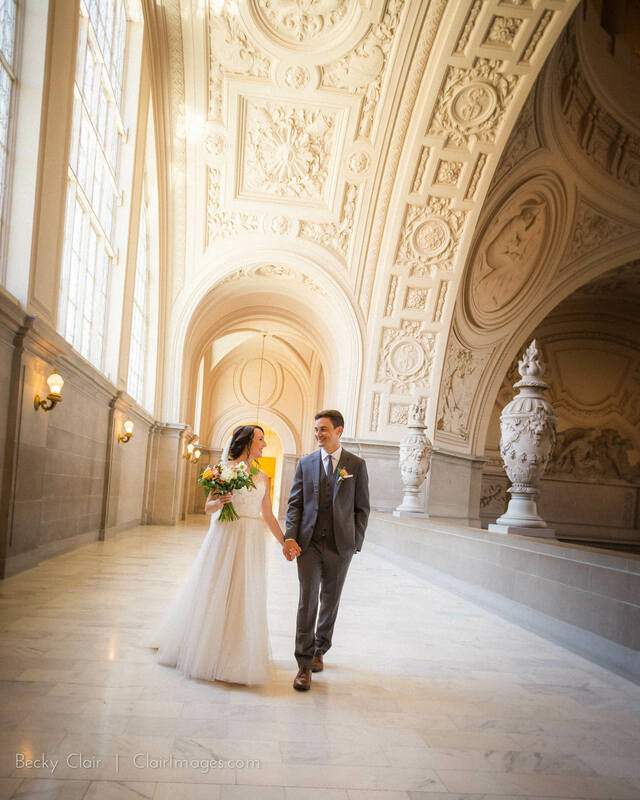 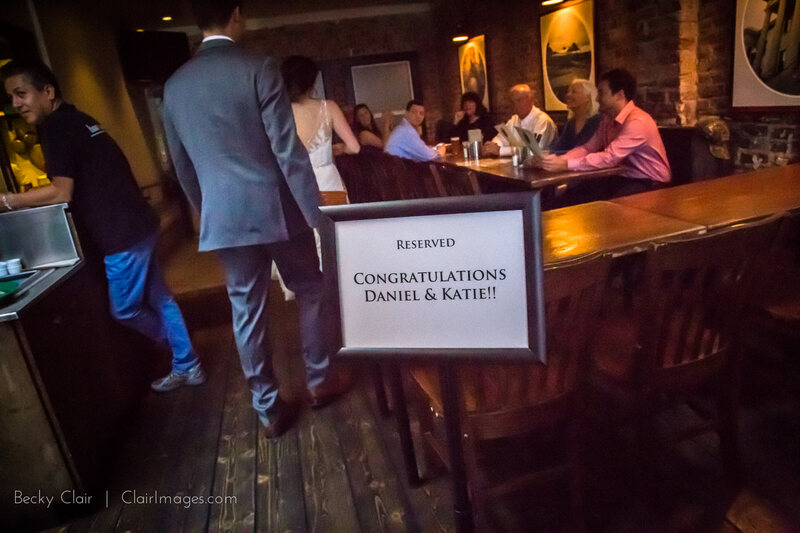 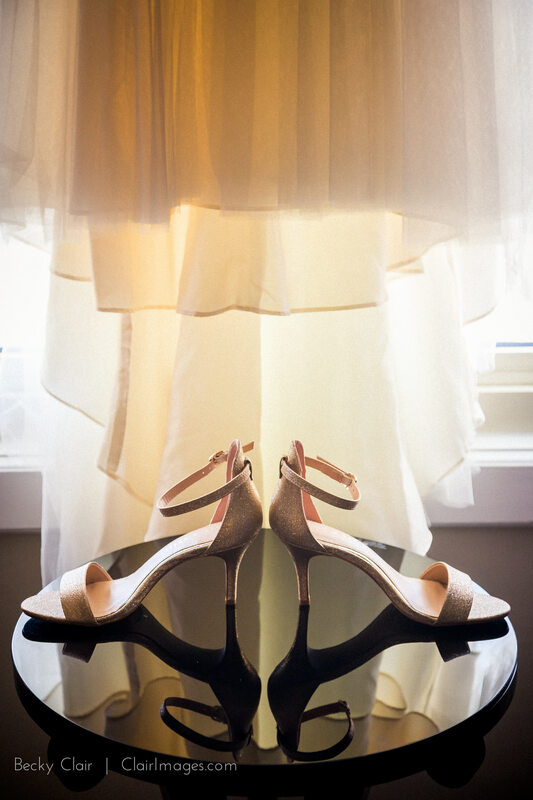 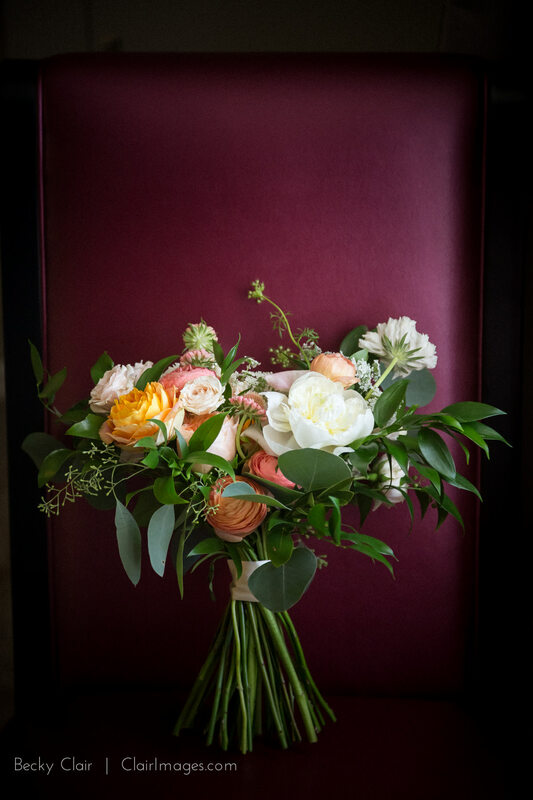 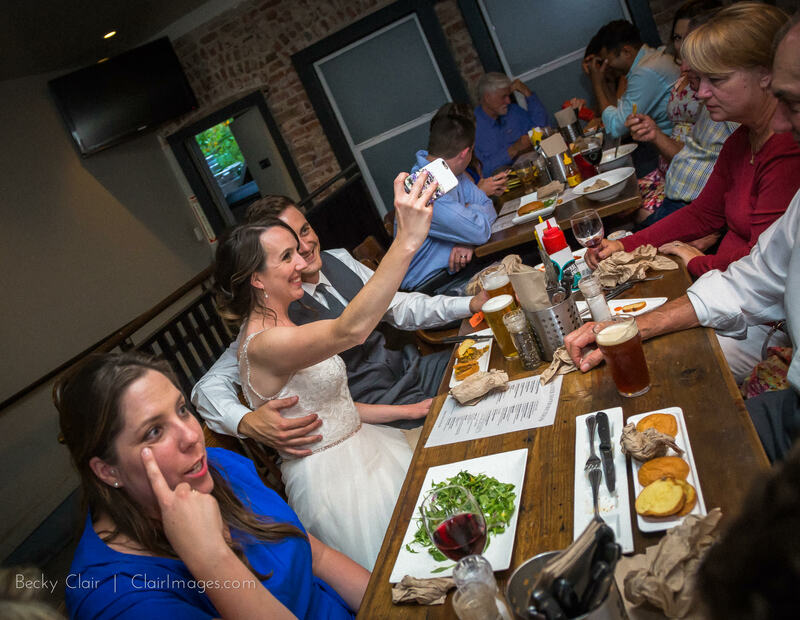 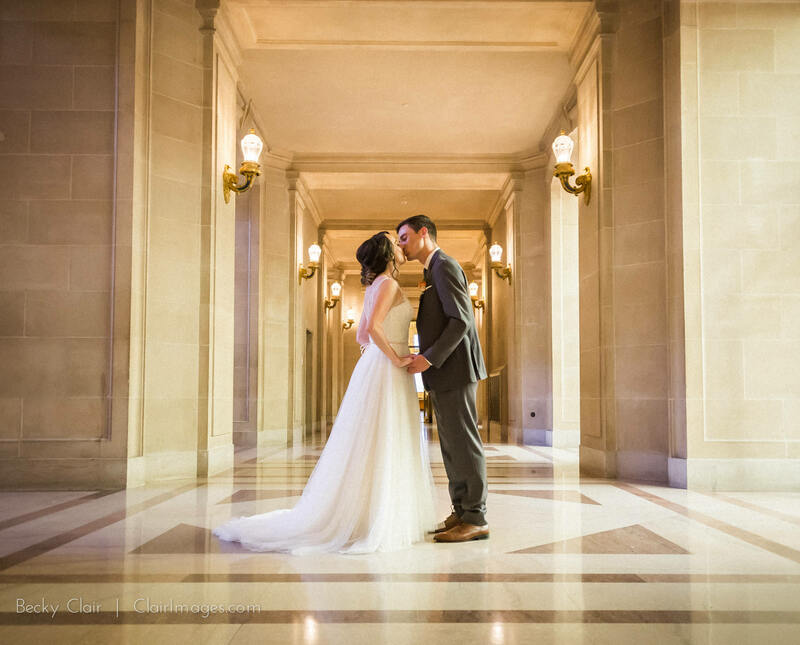 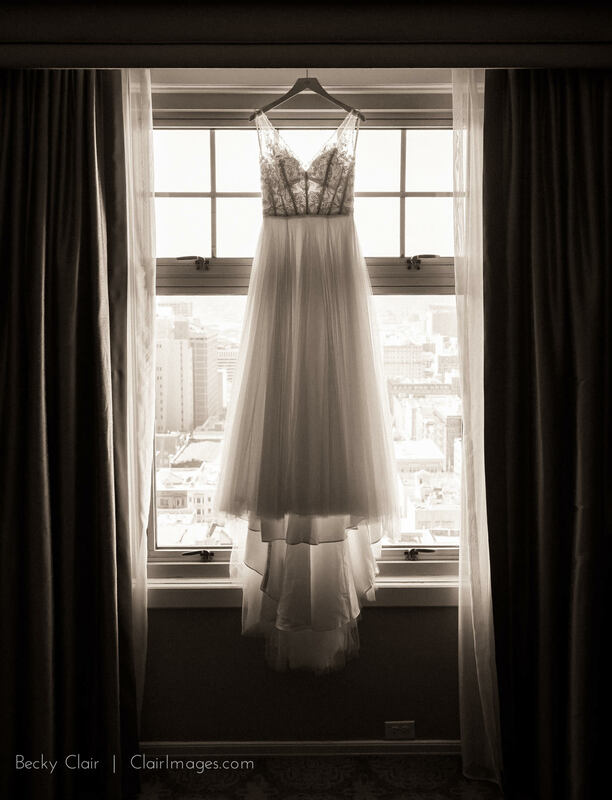 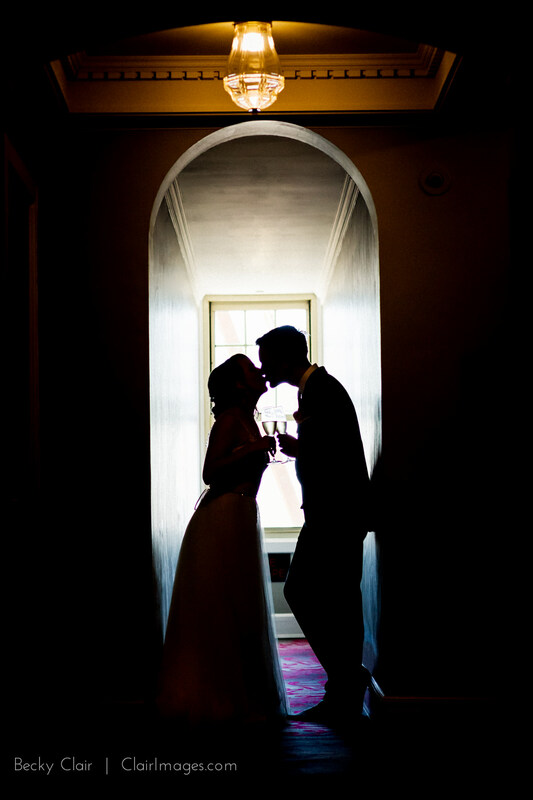 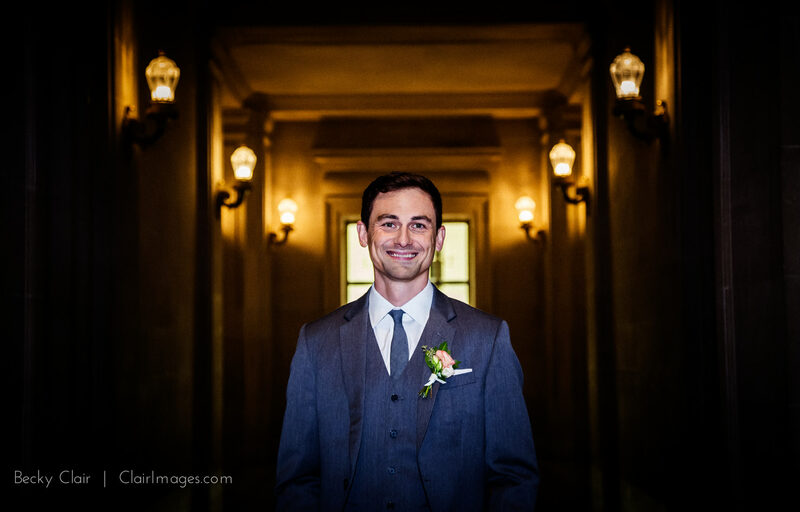 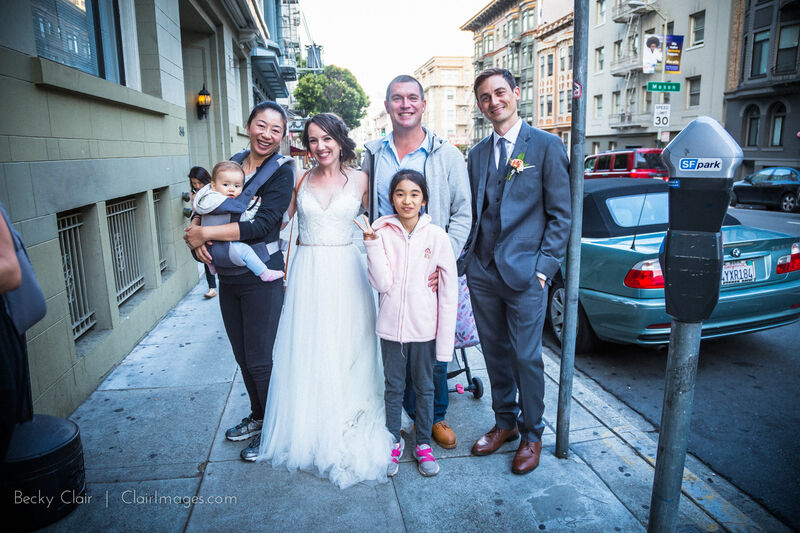 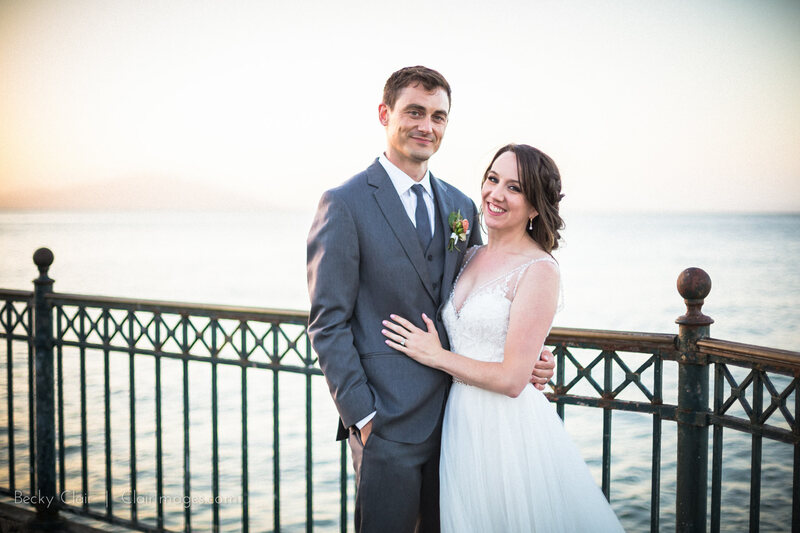 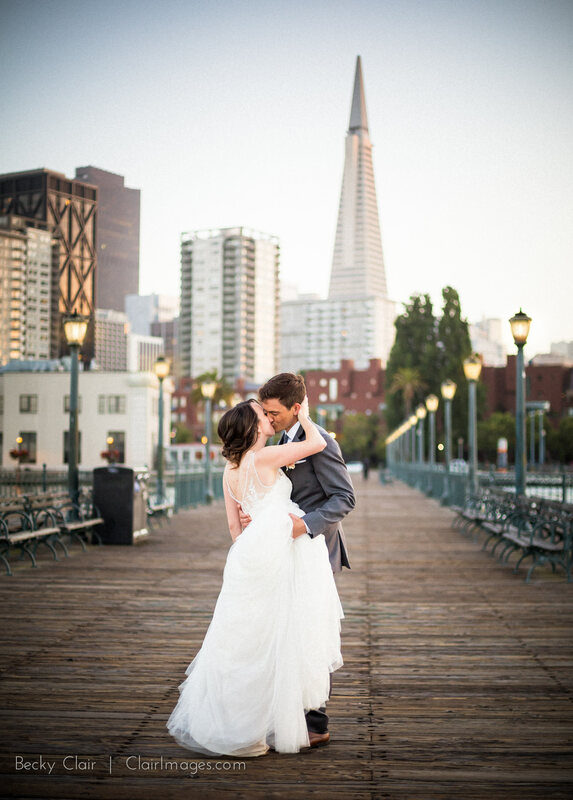 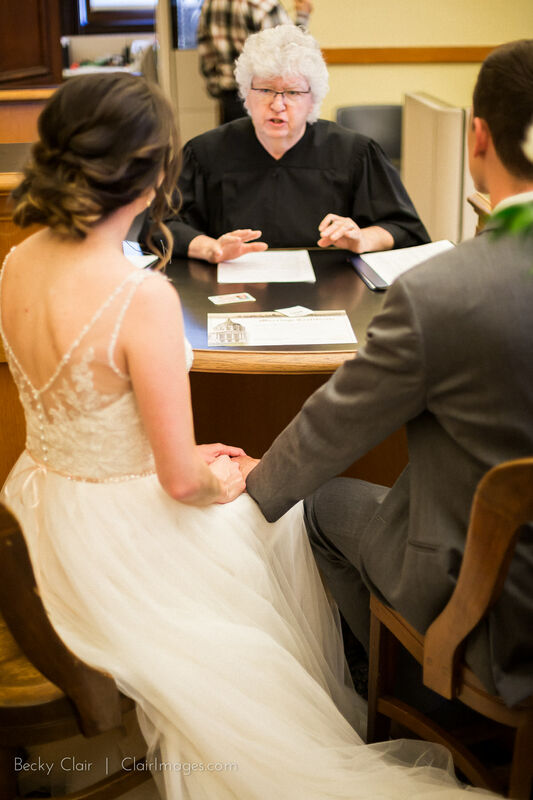 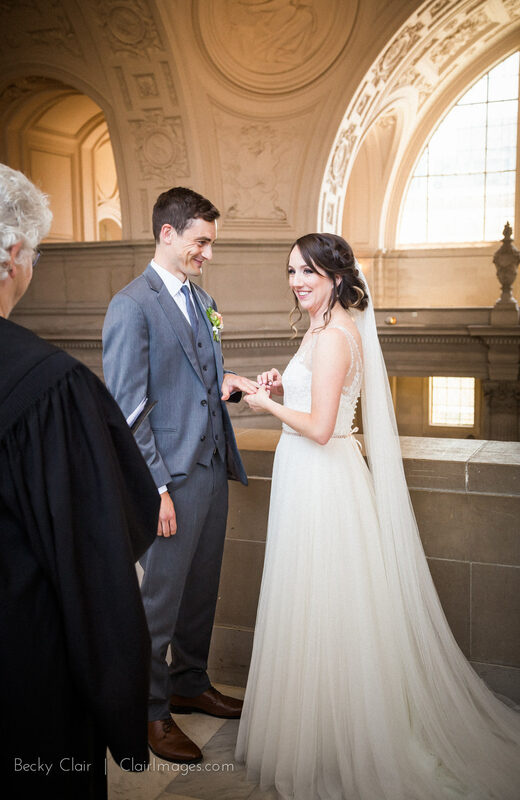 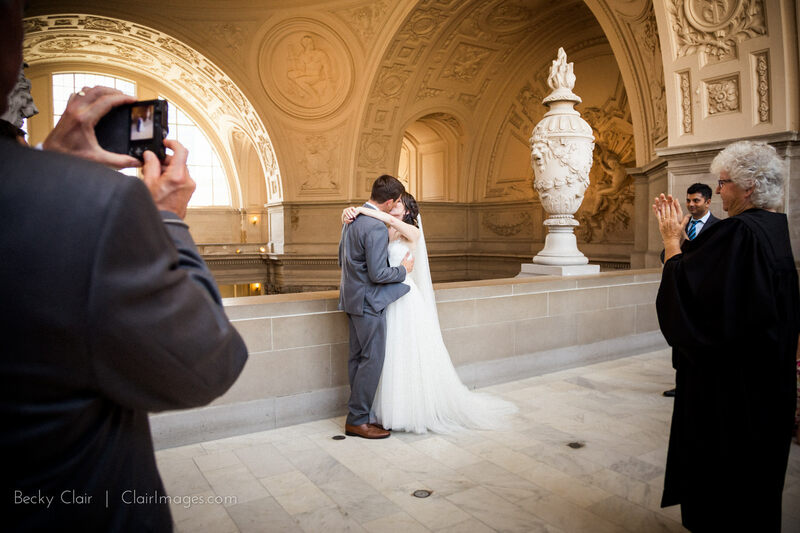 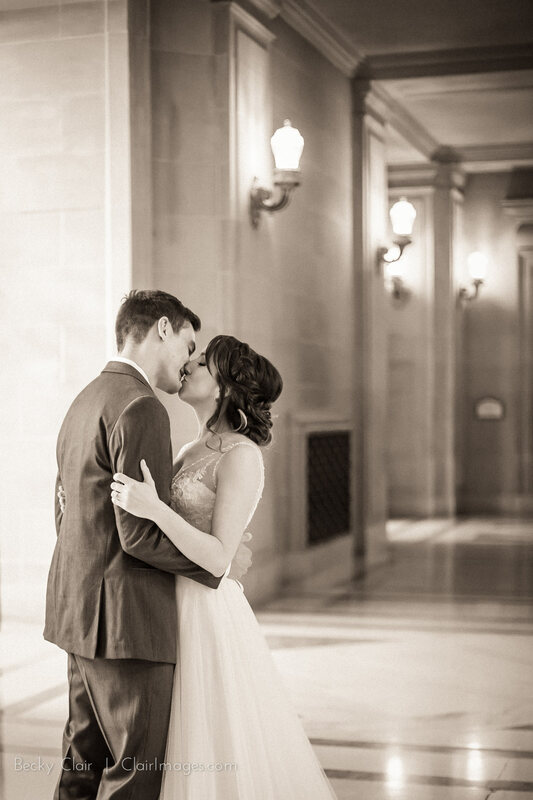 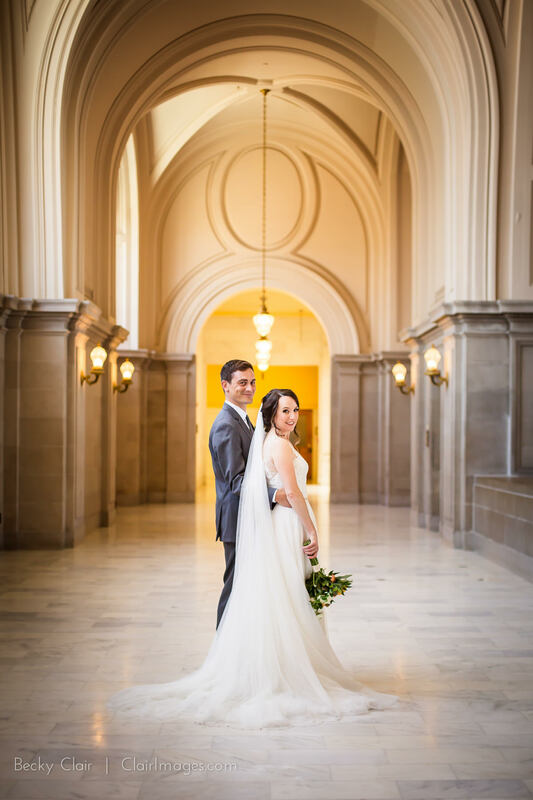 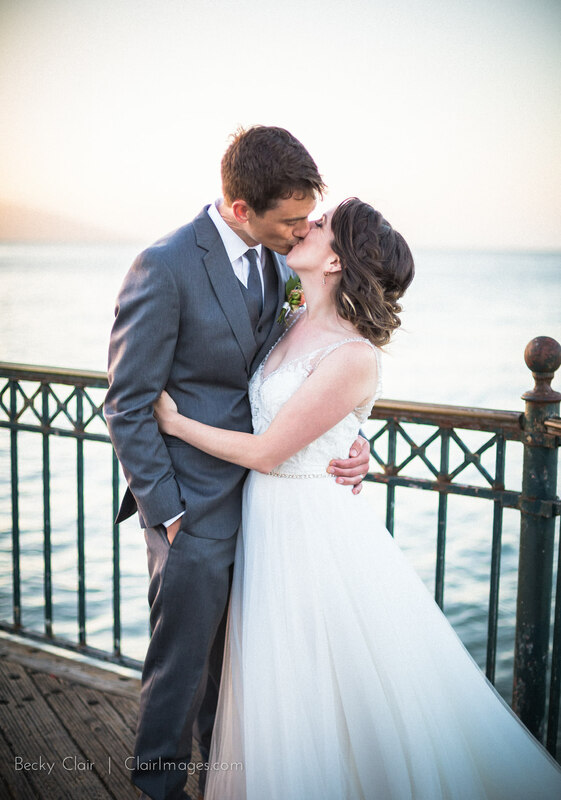 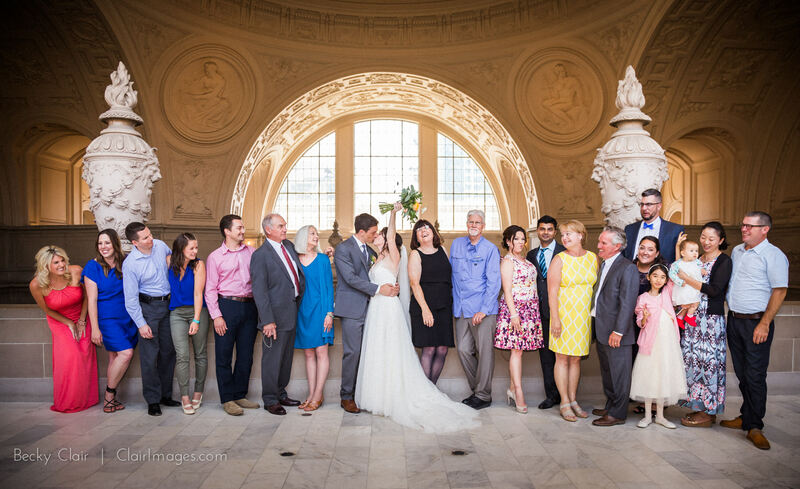 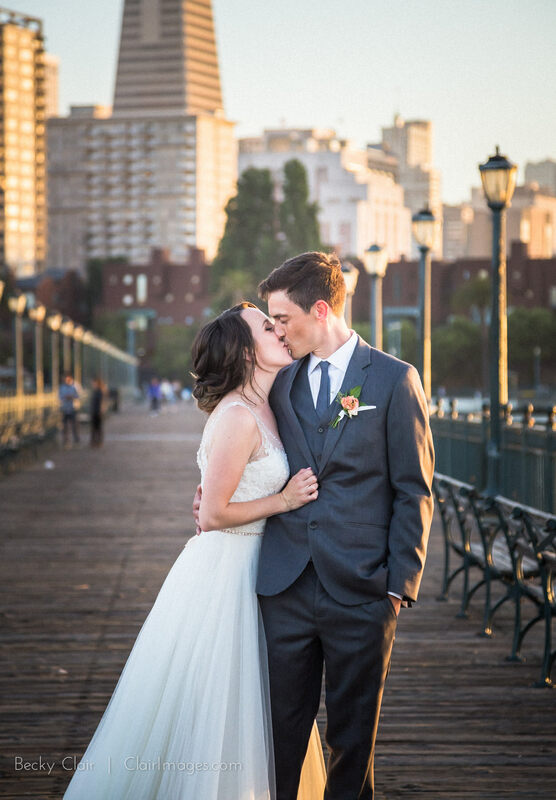 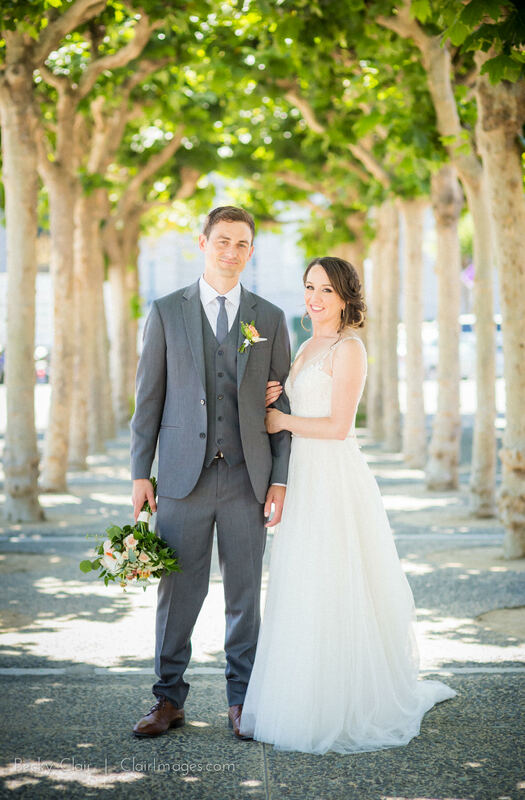 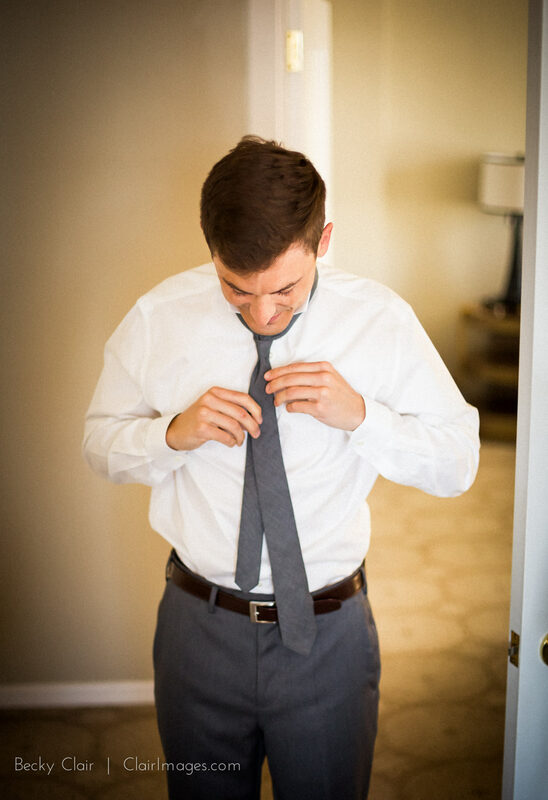 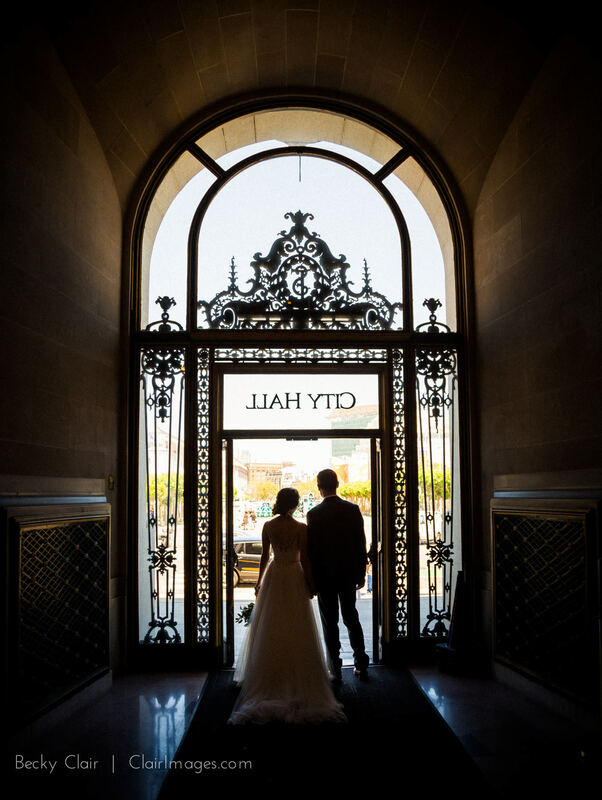 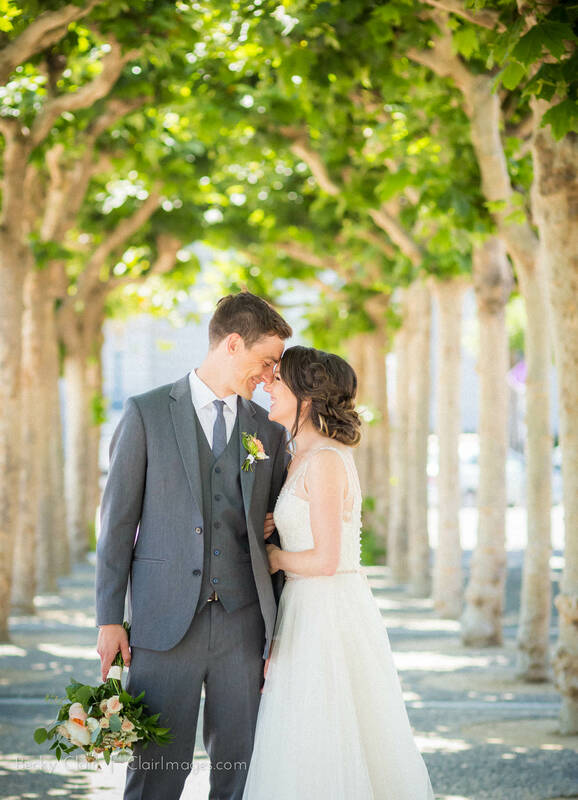 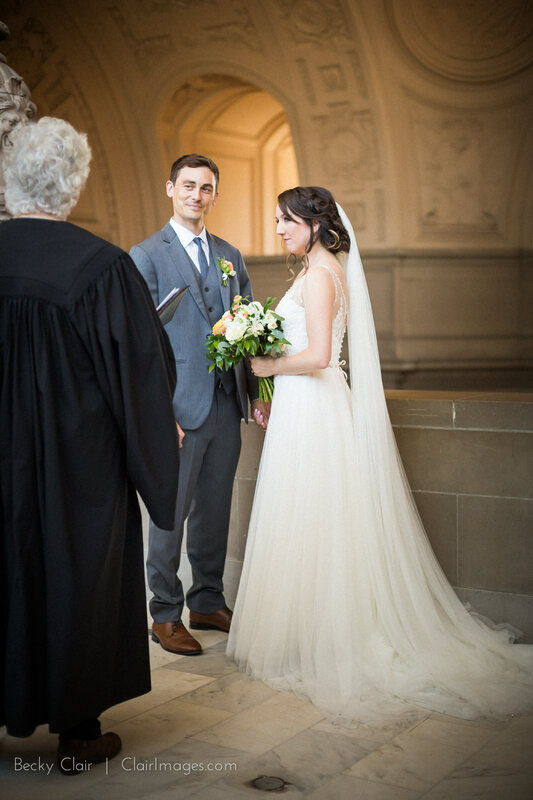 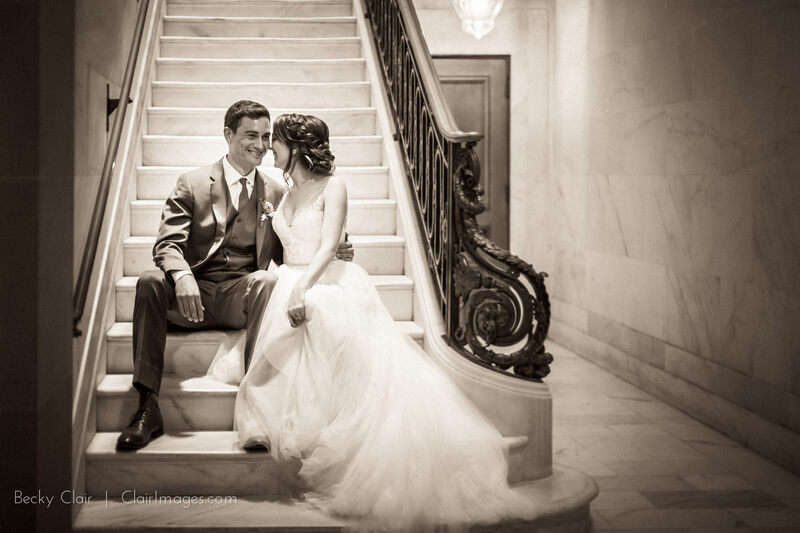 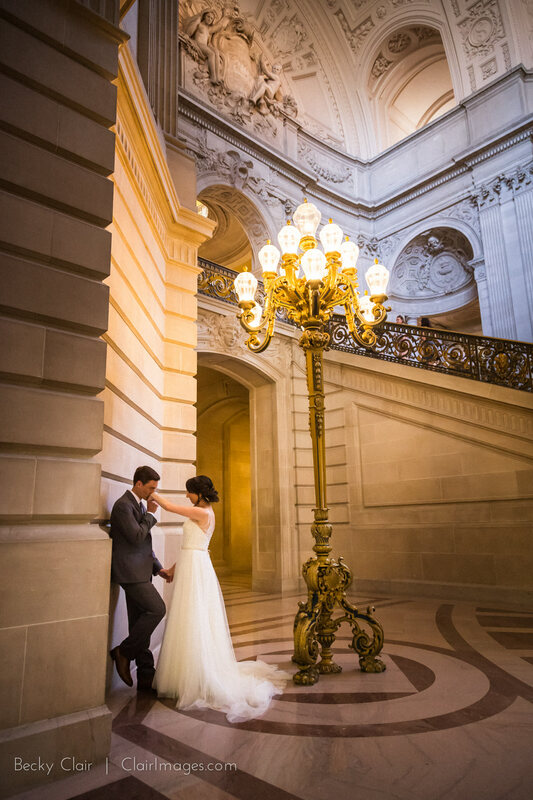 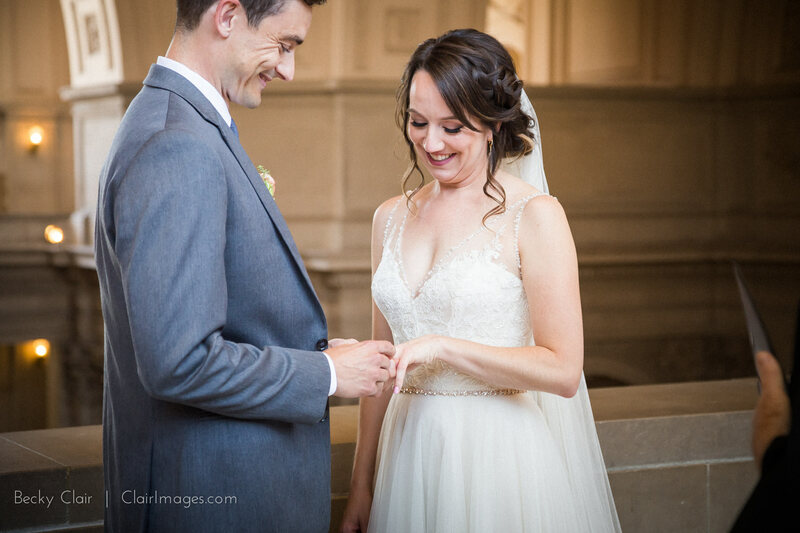 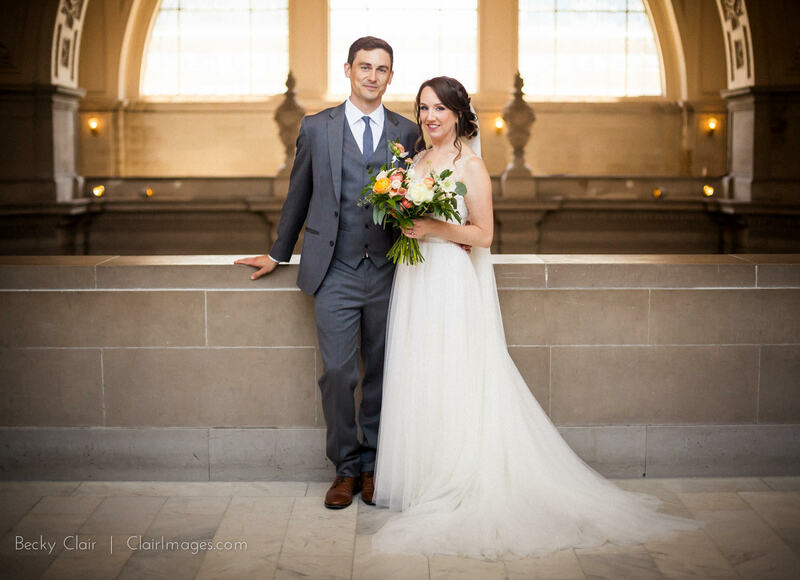 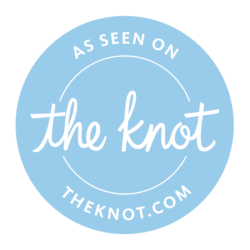 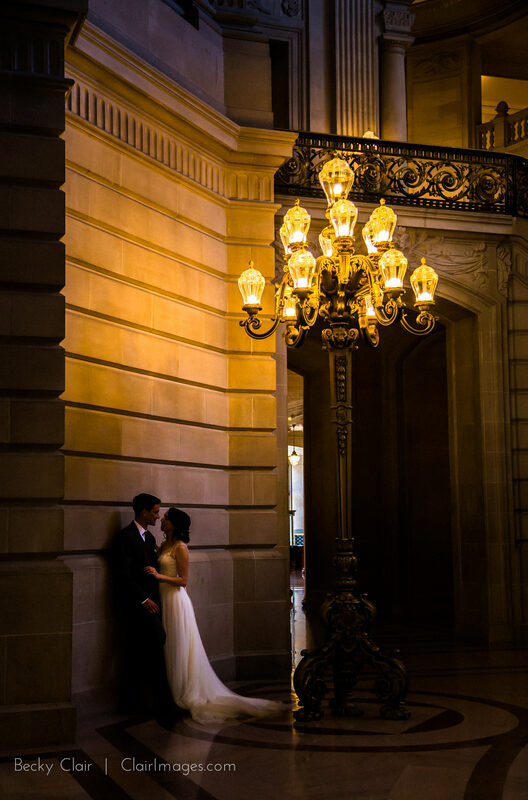 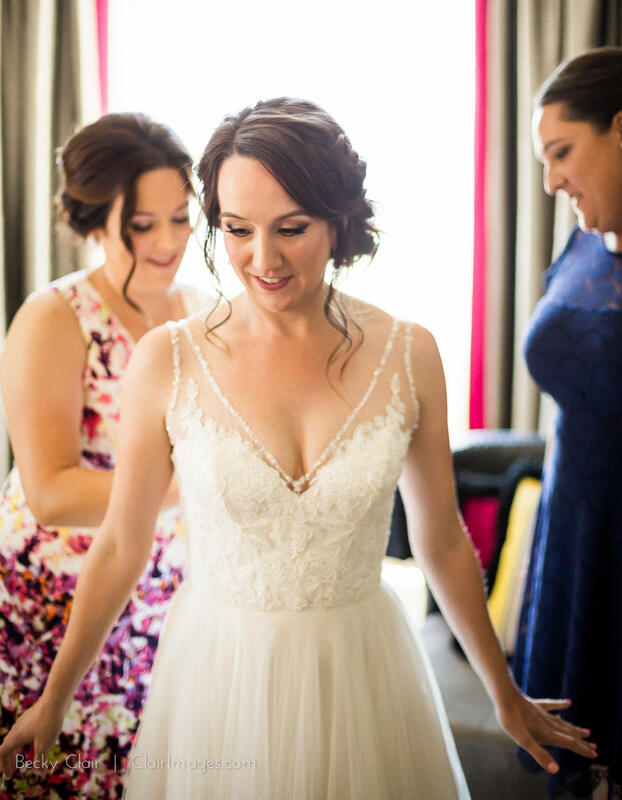 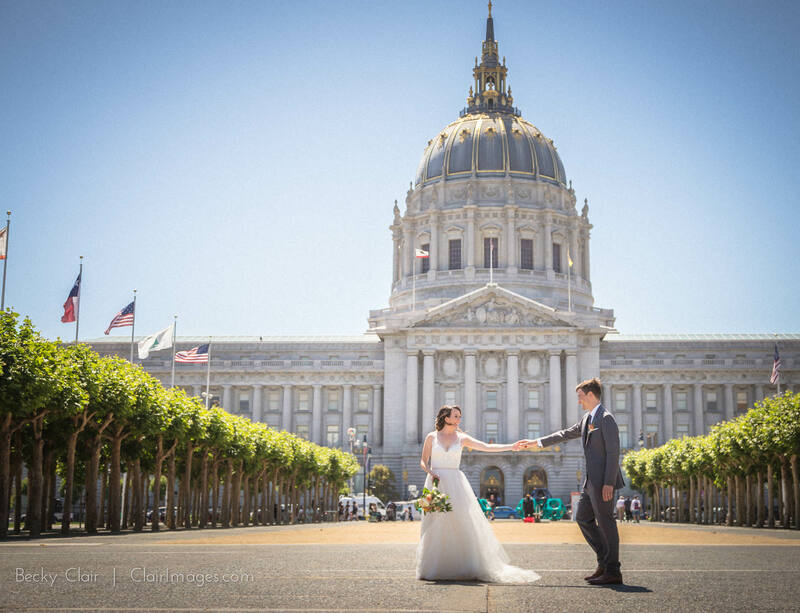 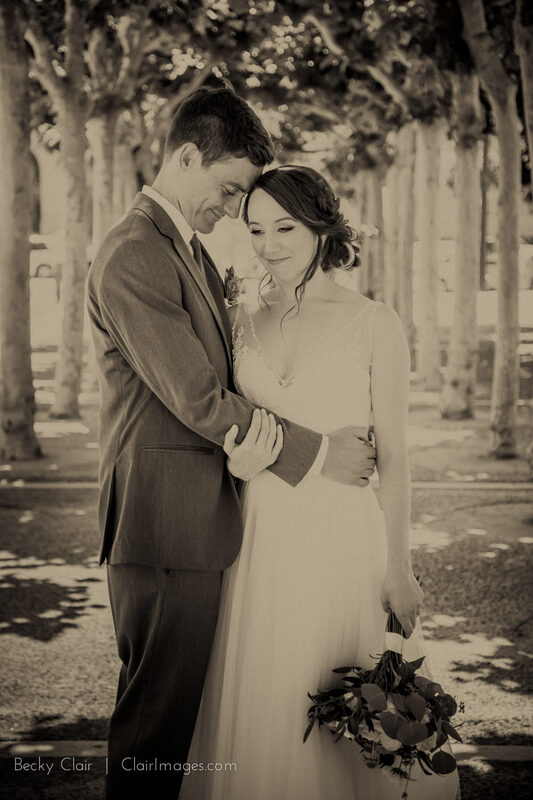 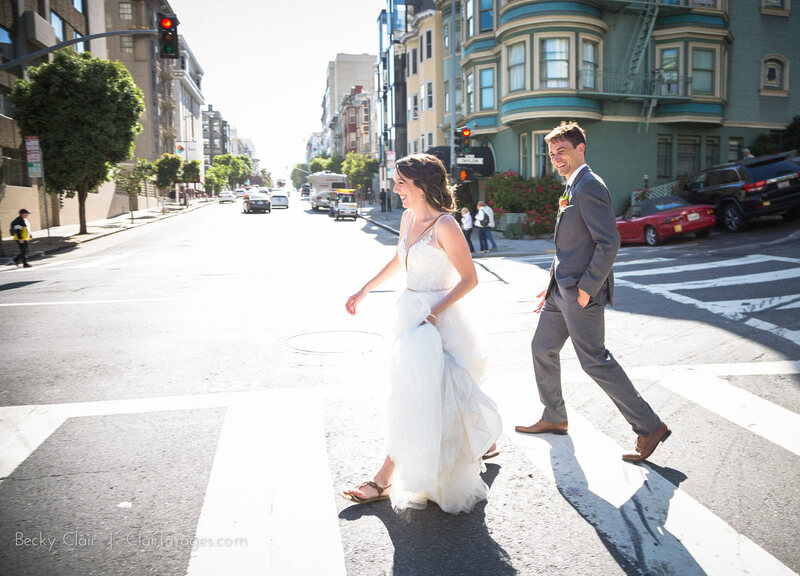 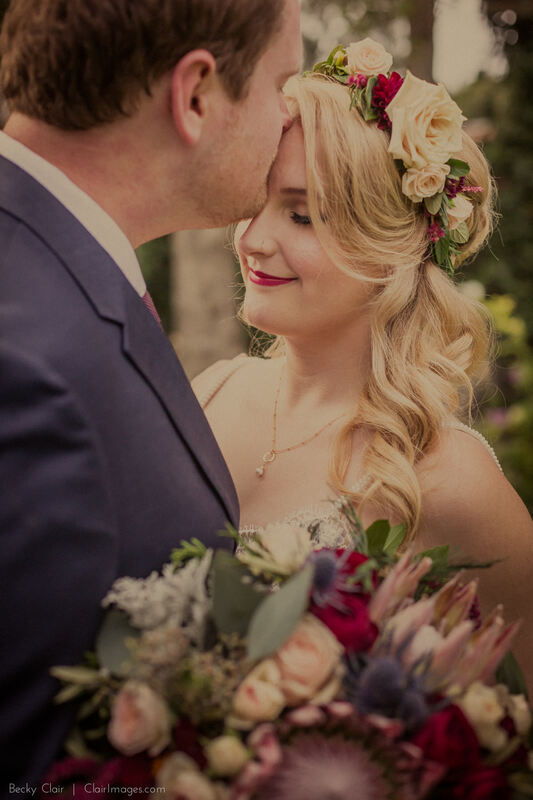 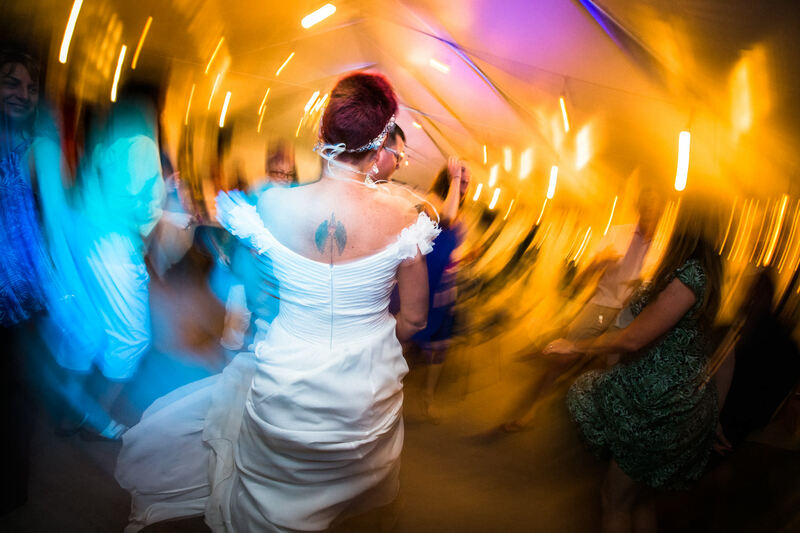 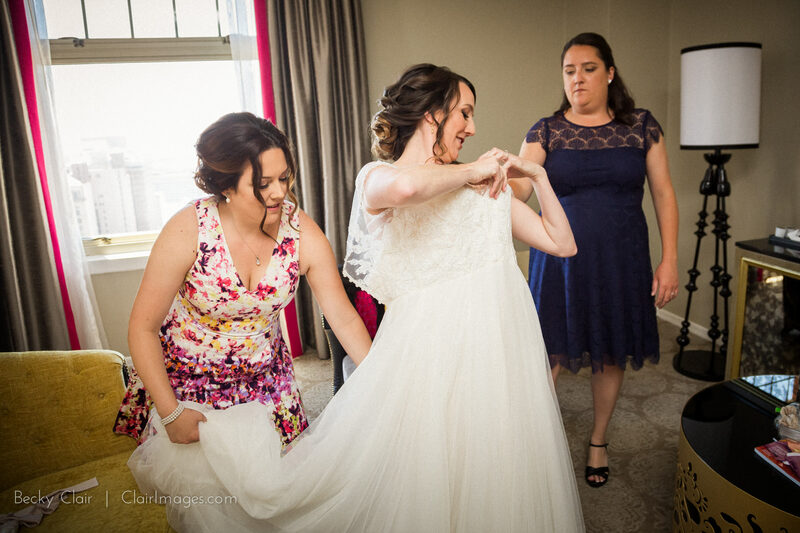 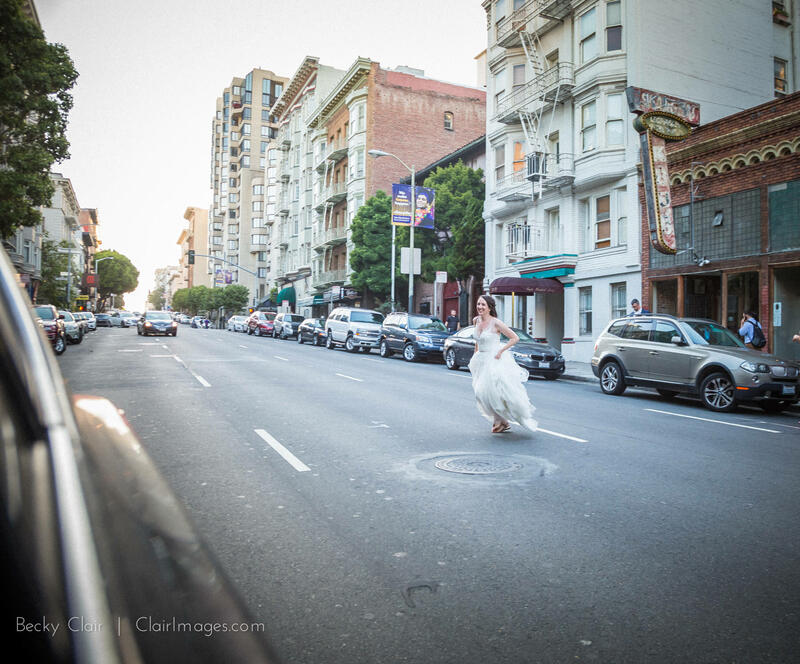 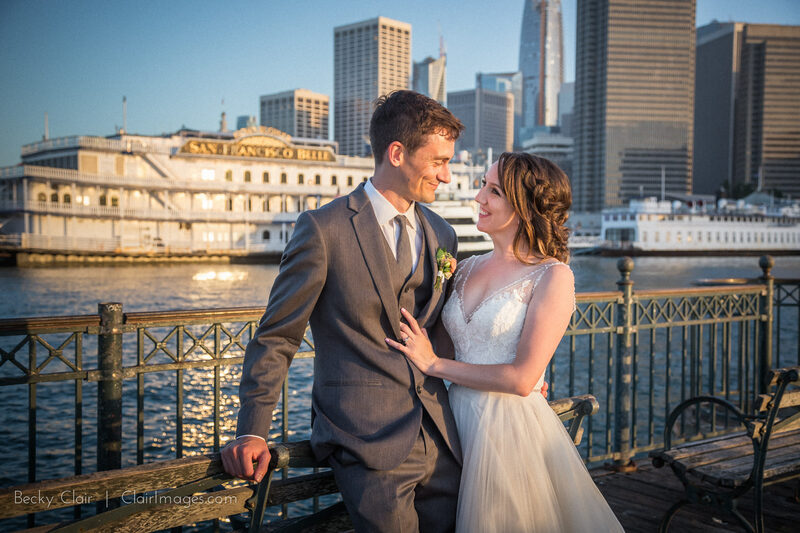 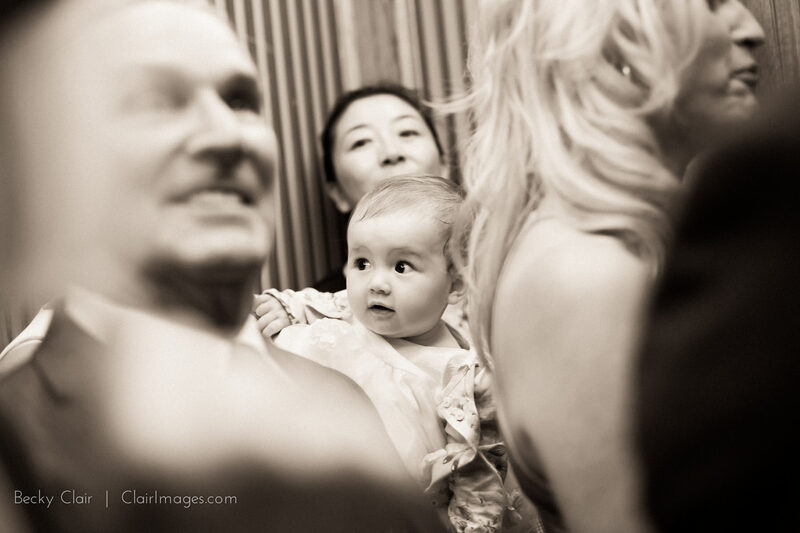 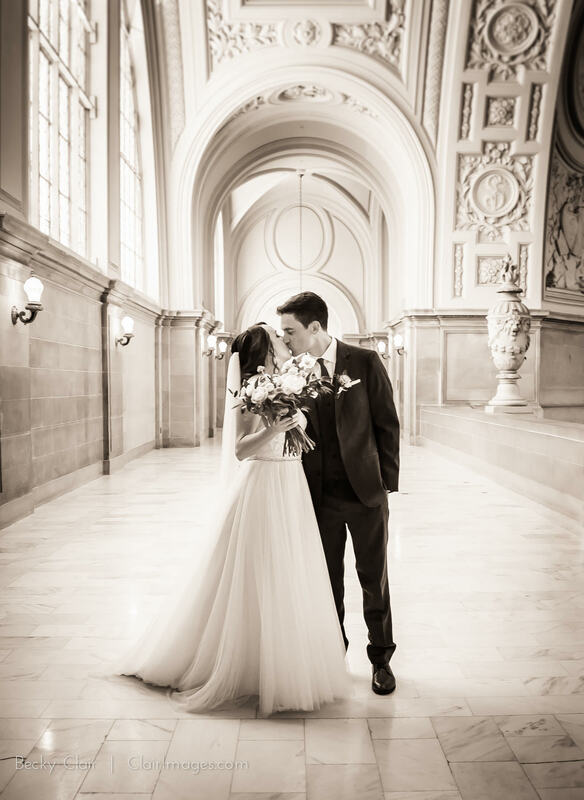 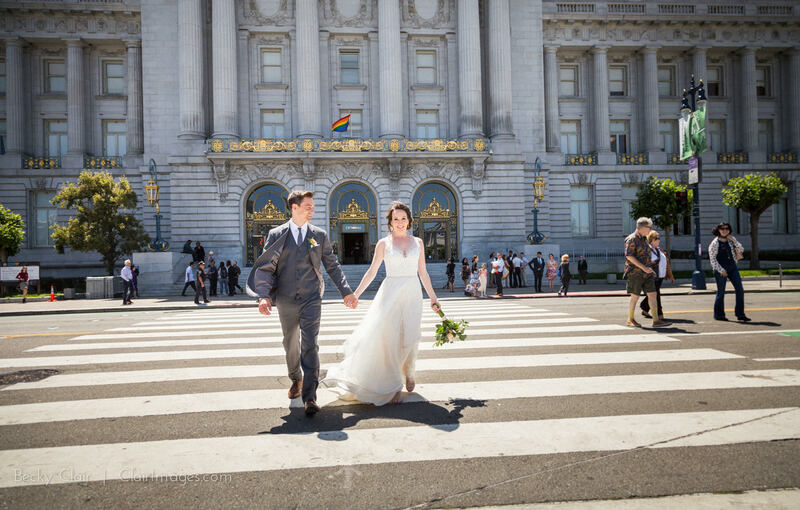 Katie and Dan’s wedding at San Francisco City Hall was a small, intimate affair with only a handful of friends and their immediate family. 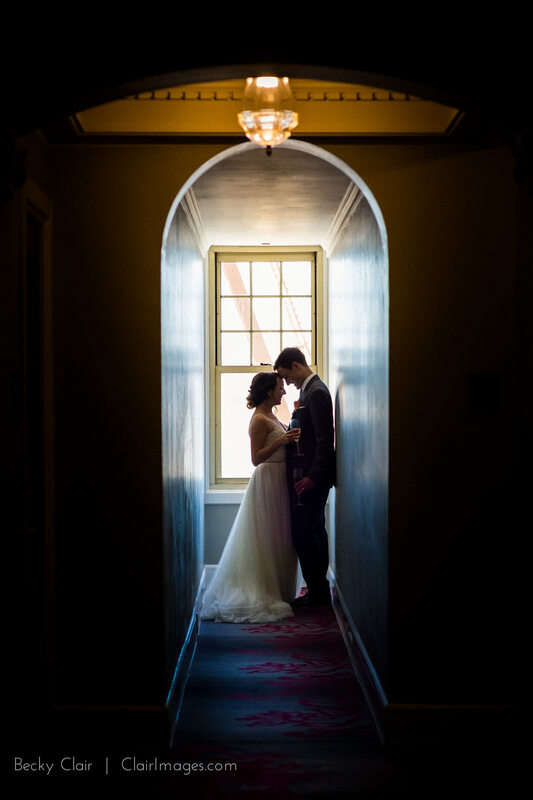 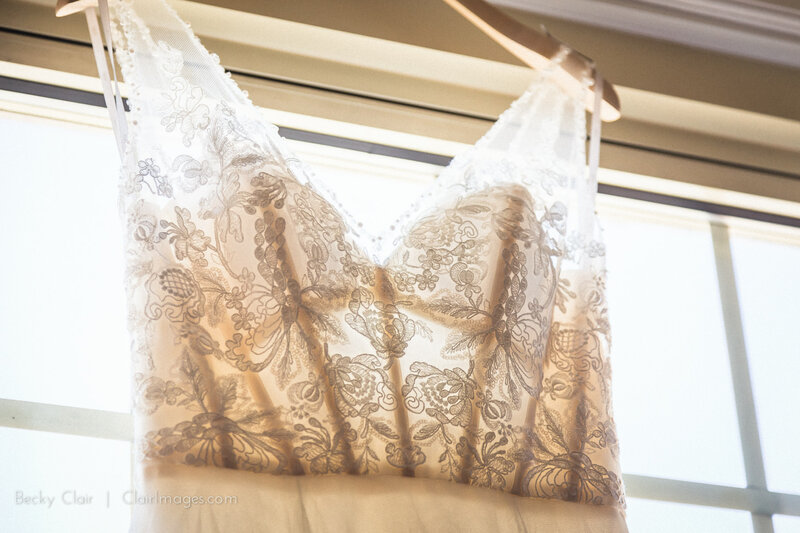 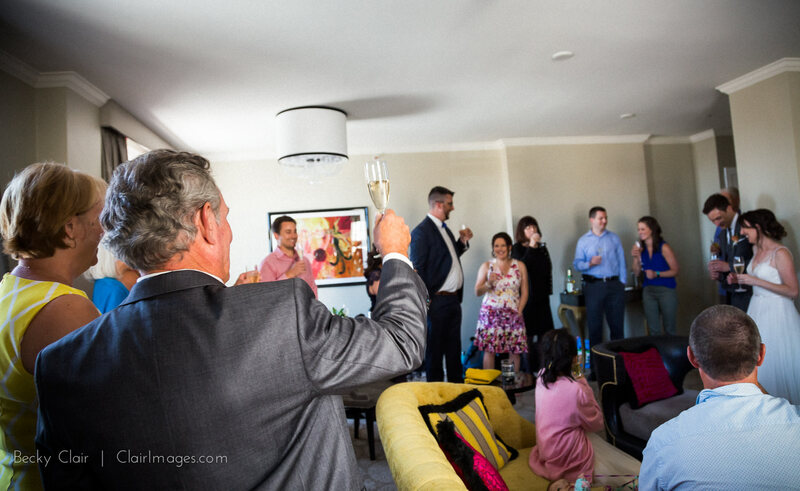 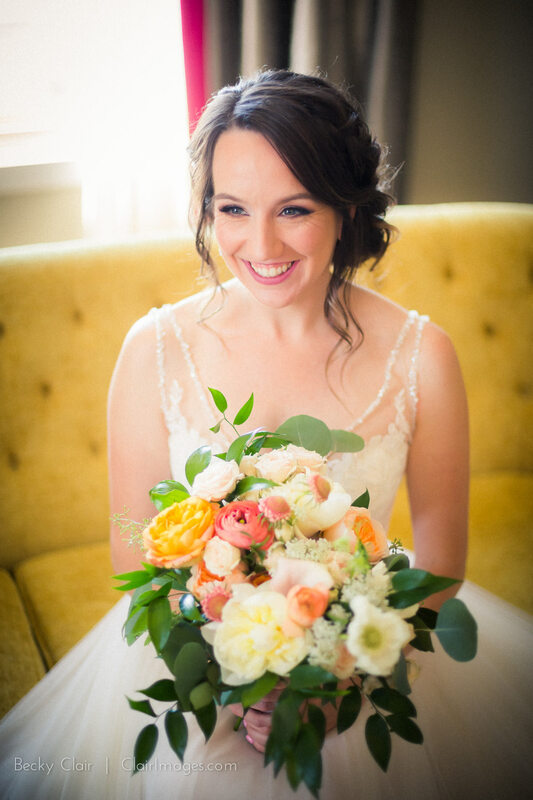 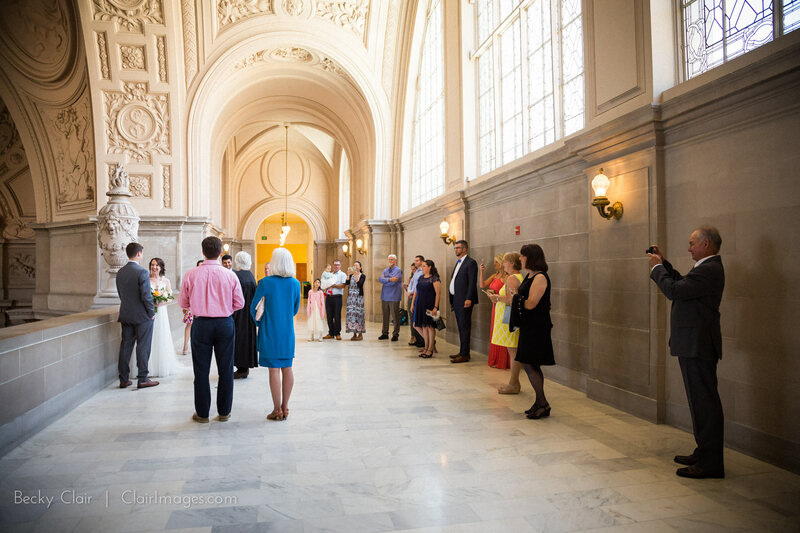 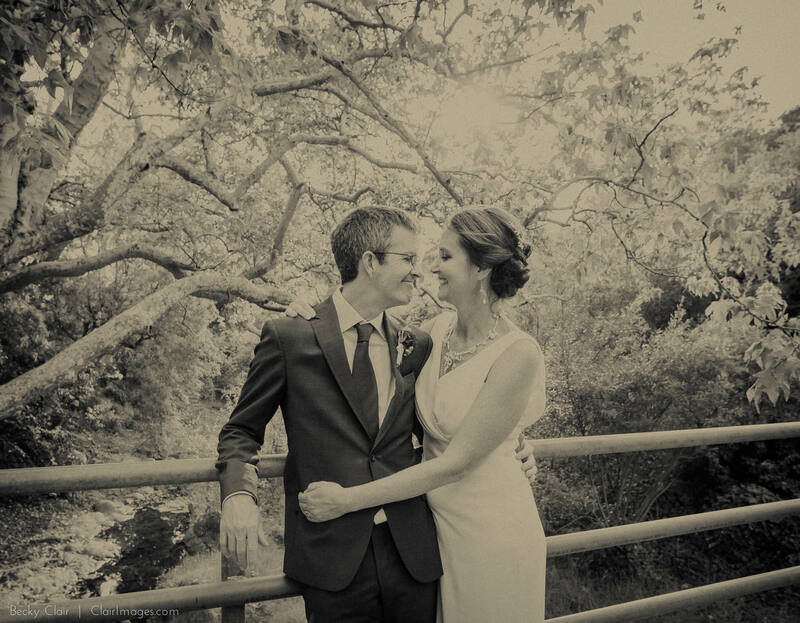 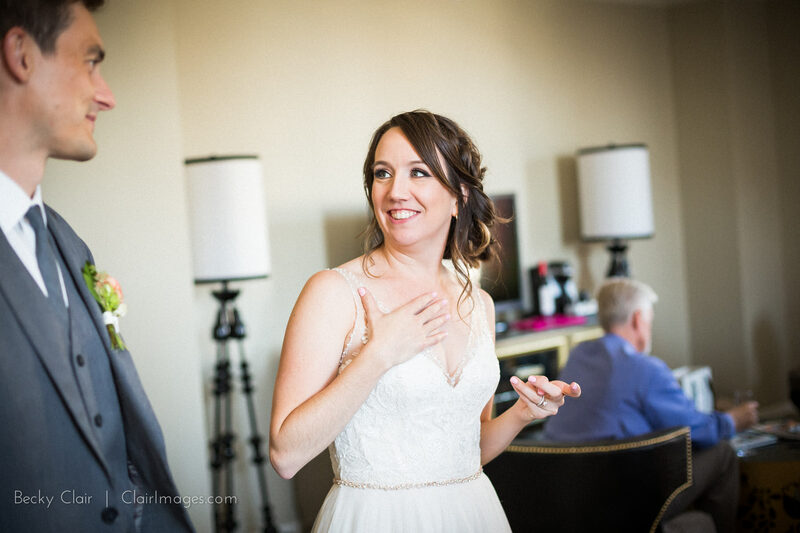 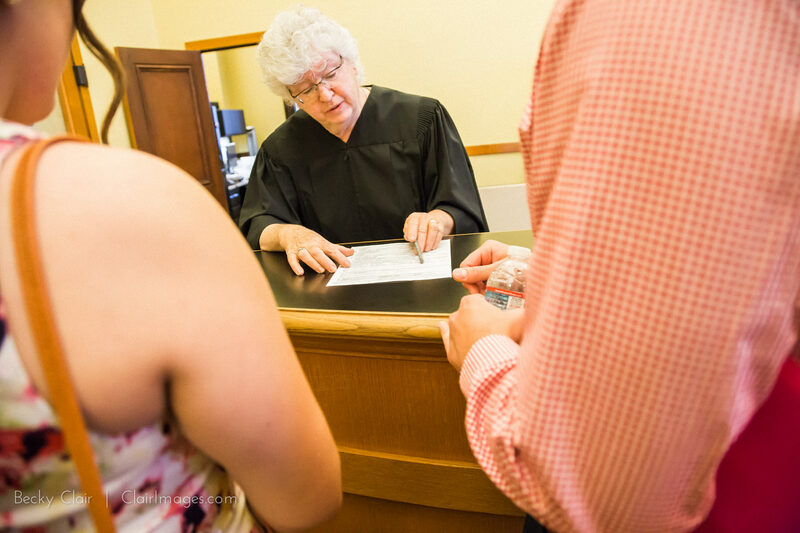 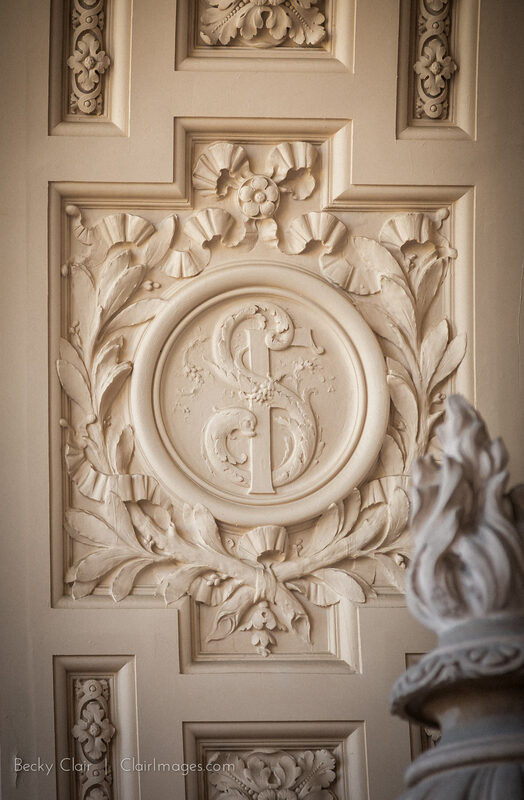 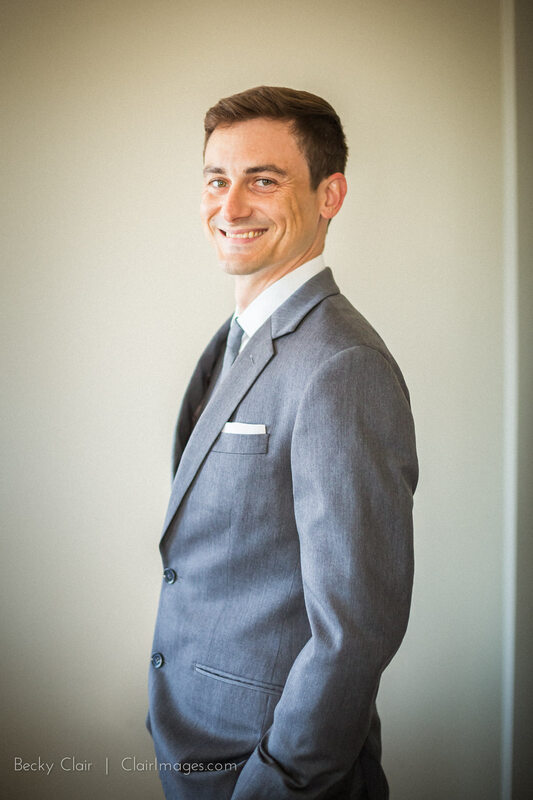 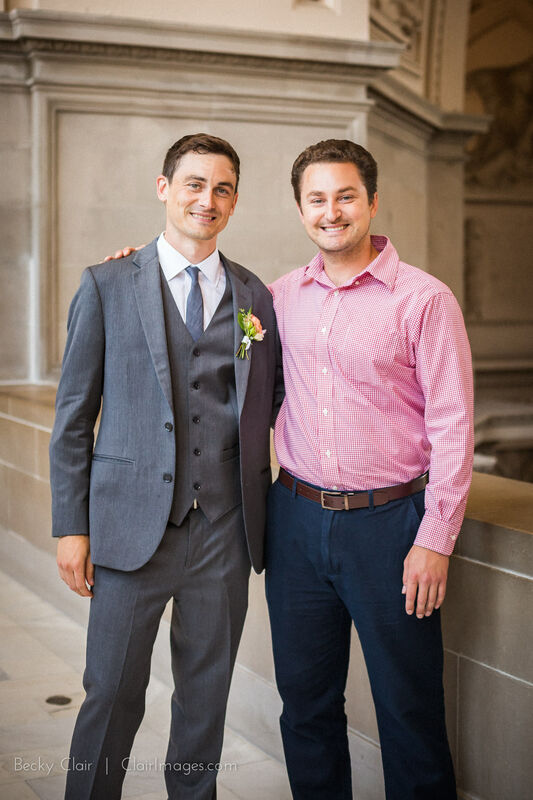 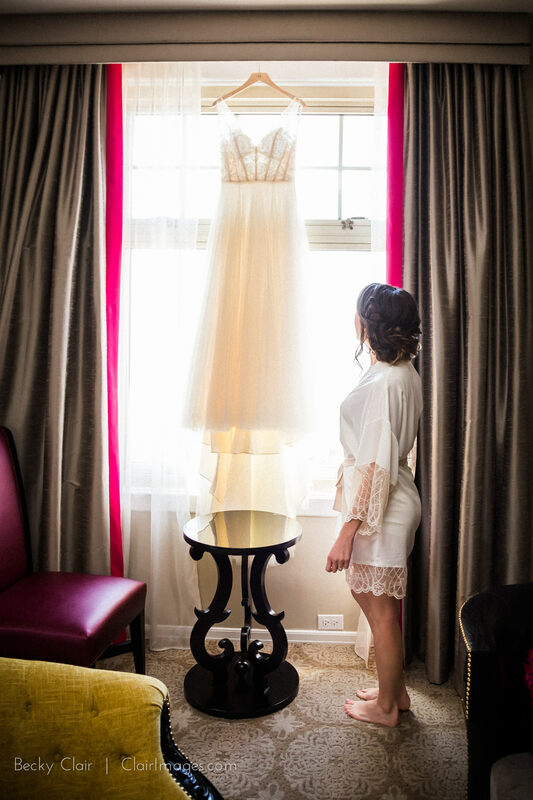 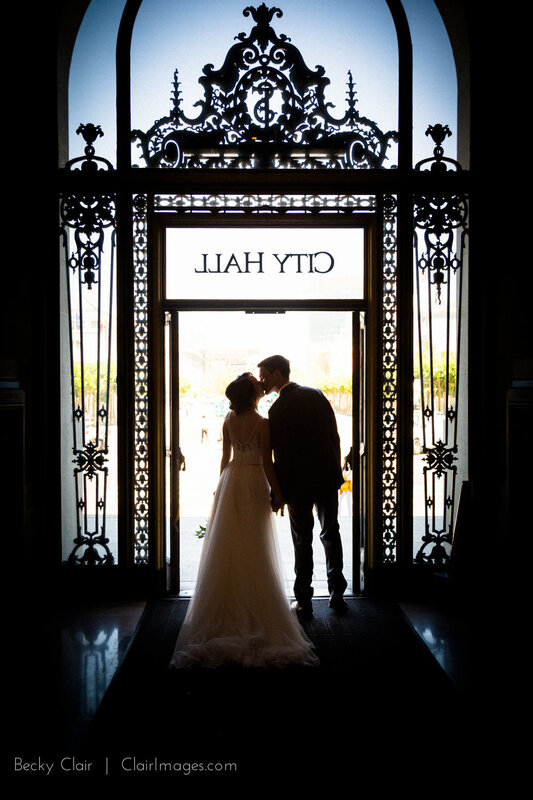 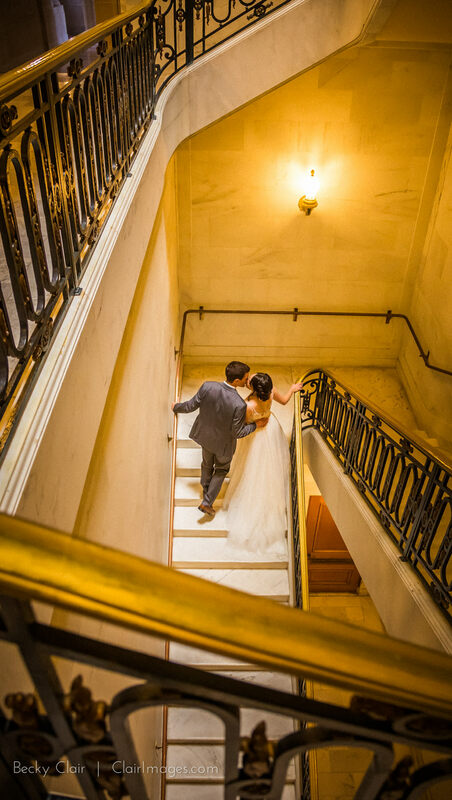 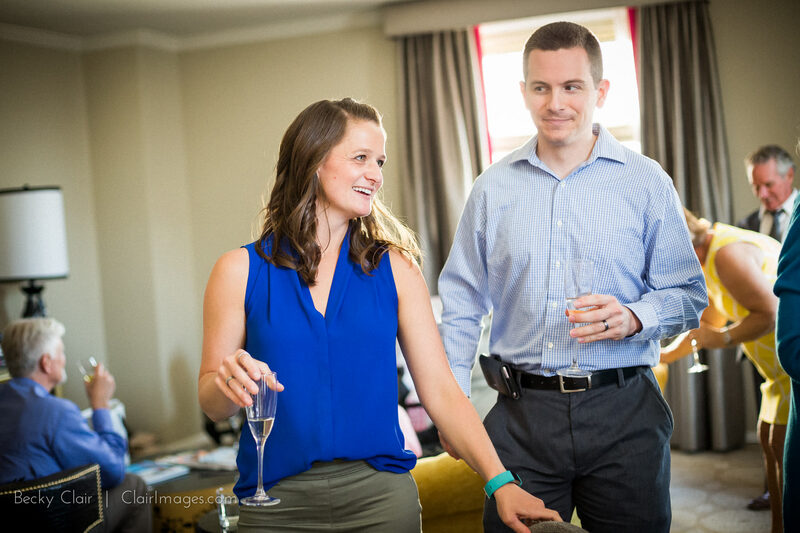 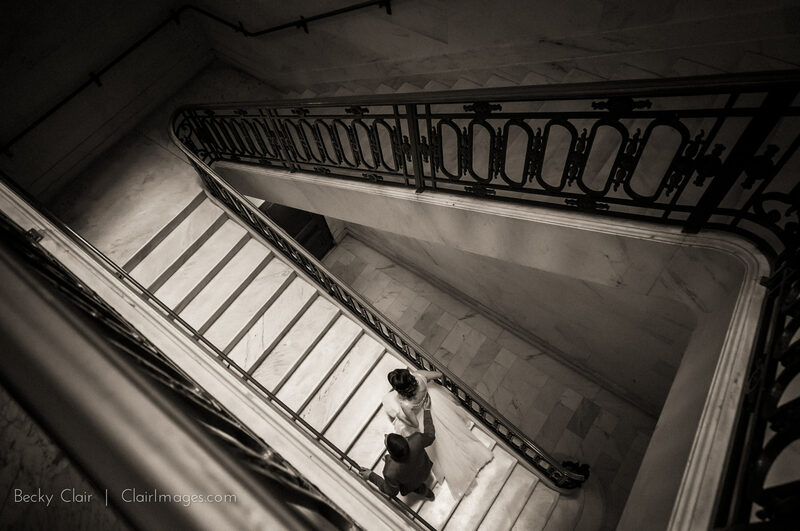 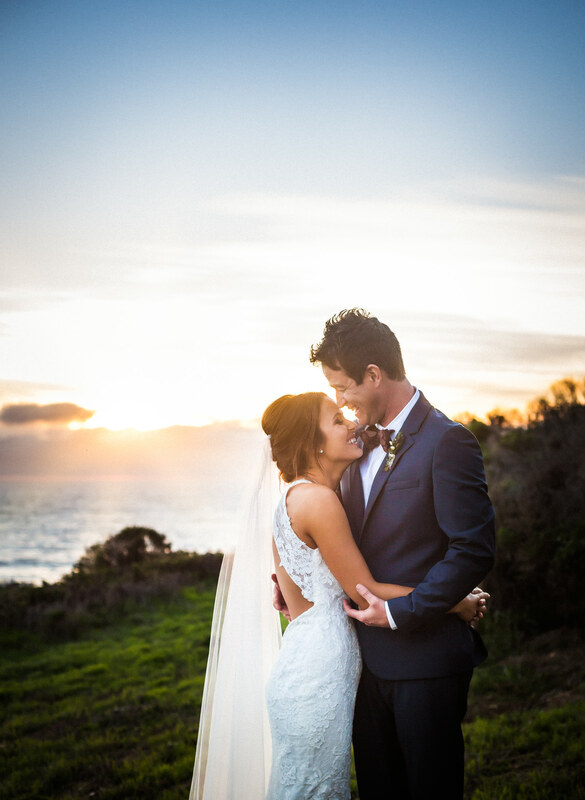 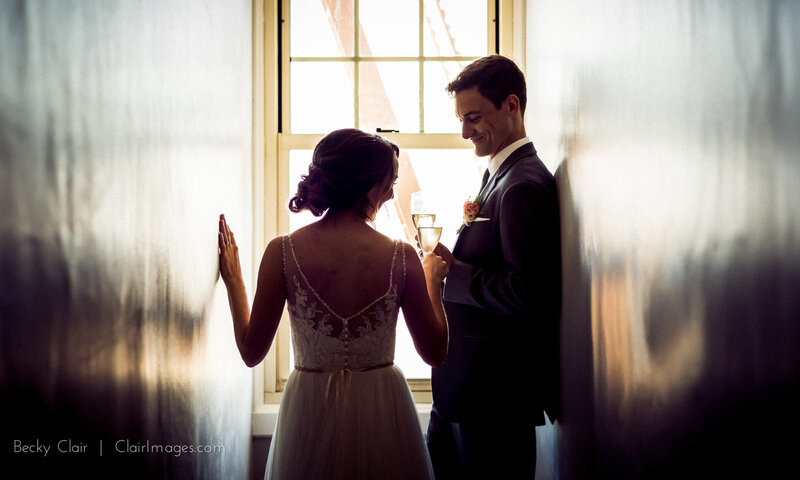 City Hall was a bustling scene as always, but on the 4th floor Katie and Dan found and their crew staked out a great spot along the balcony to exchange their vows. 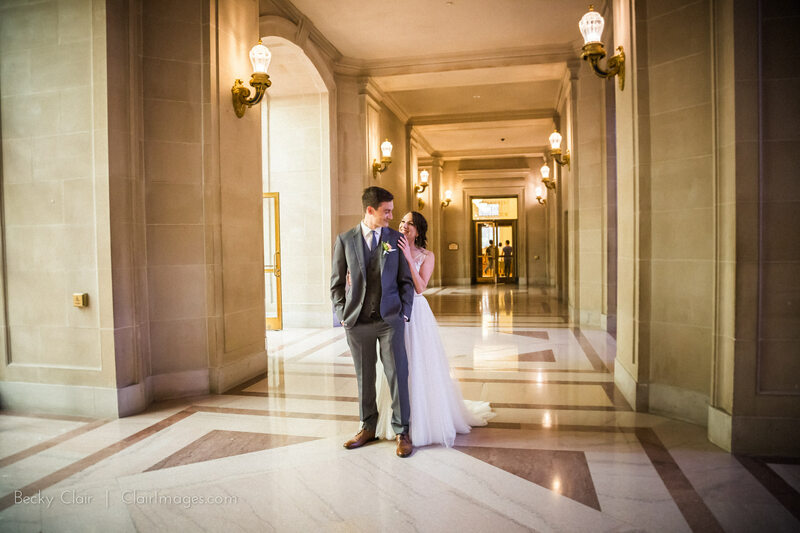 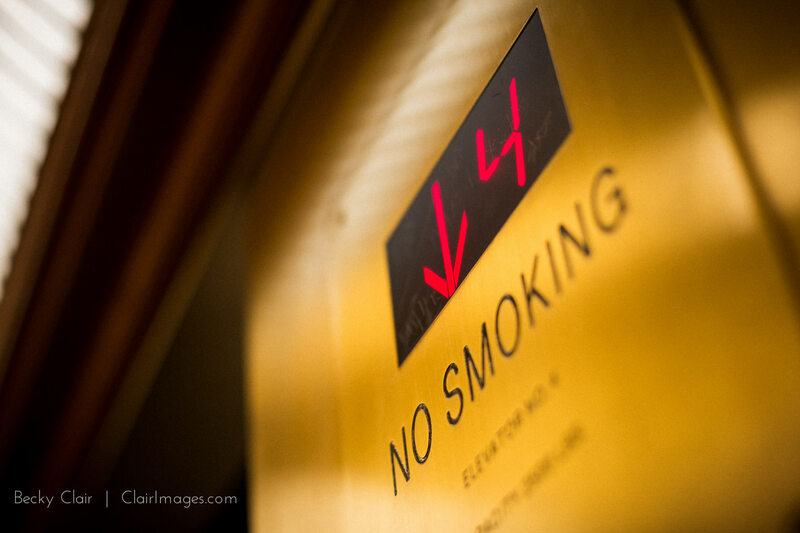 For a moment it seemed like there was no one else in the building besides these two lovers. 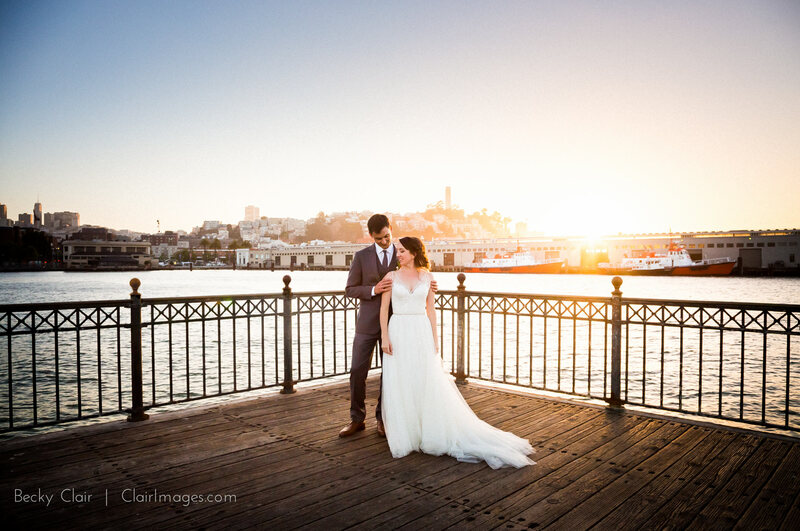 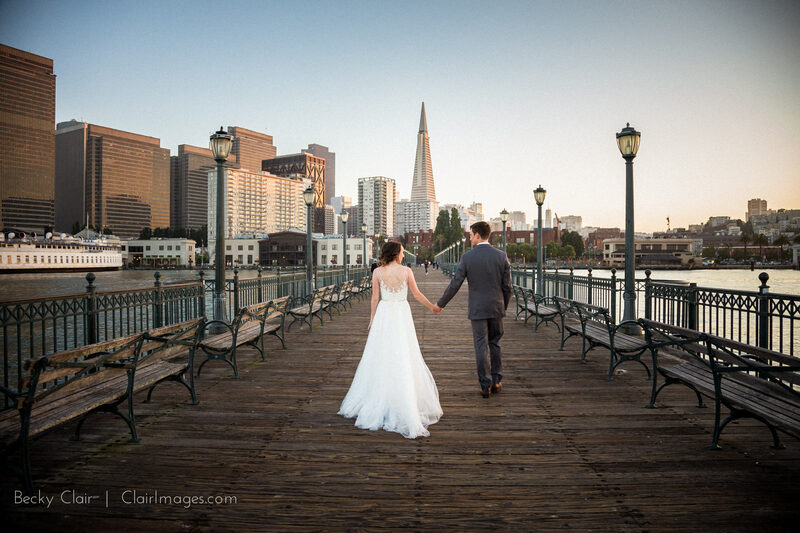 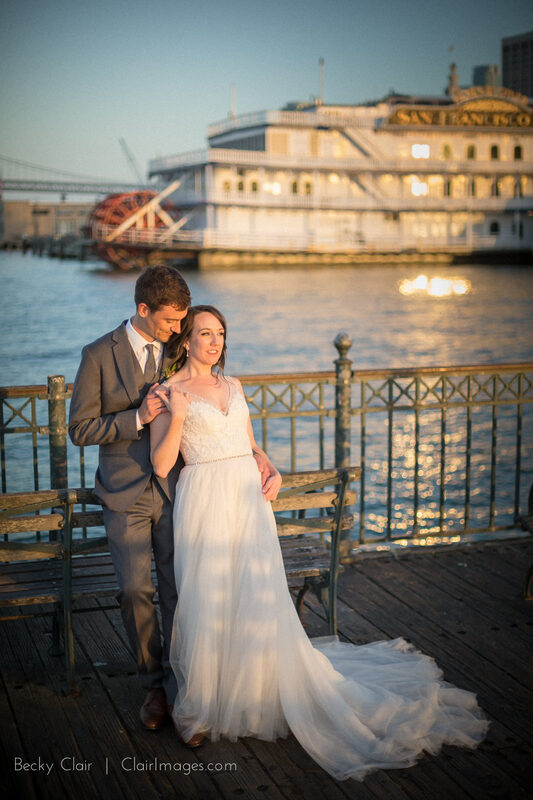 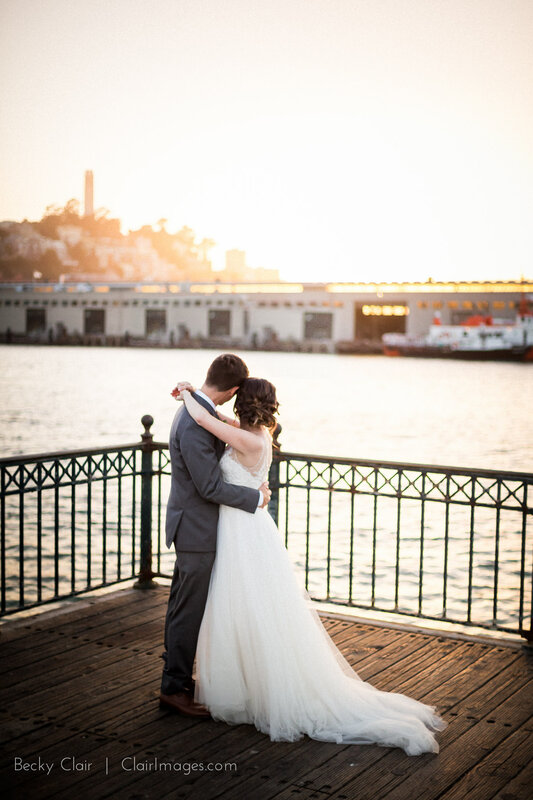 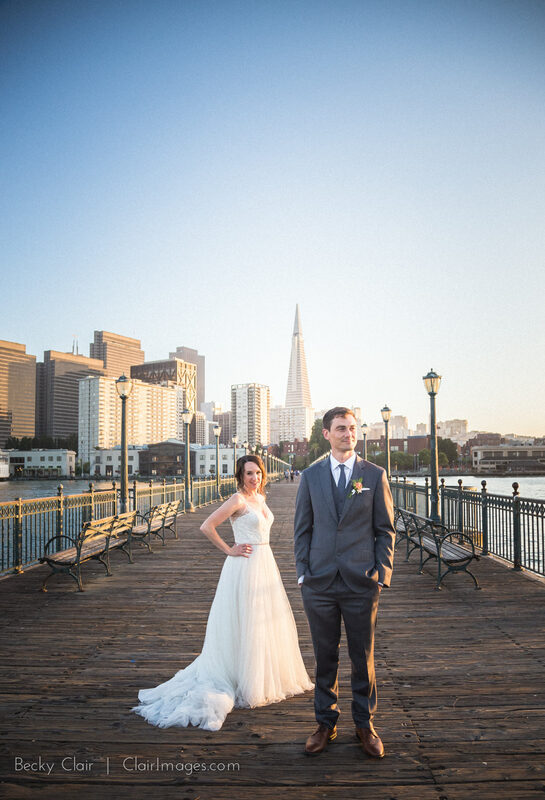 After they sealed the deal in City Hall we explored around San Francisco, finding ourselves at pier 31 for sunset. 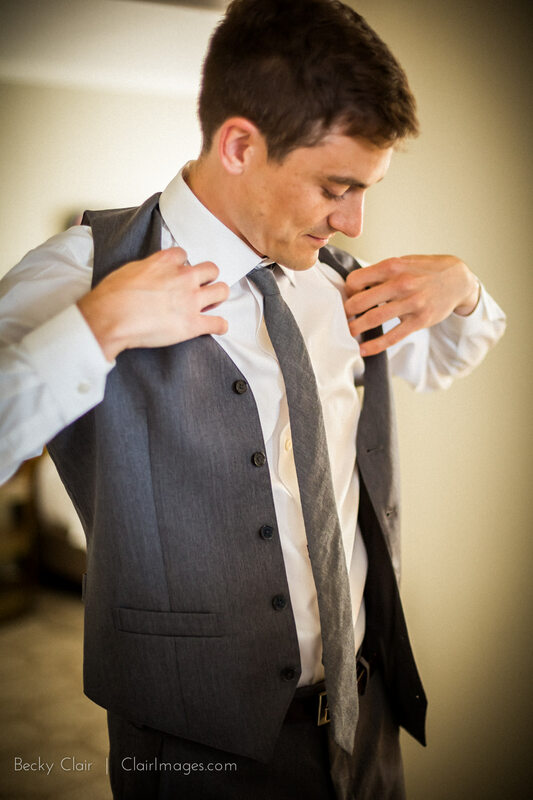 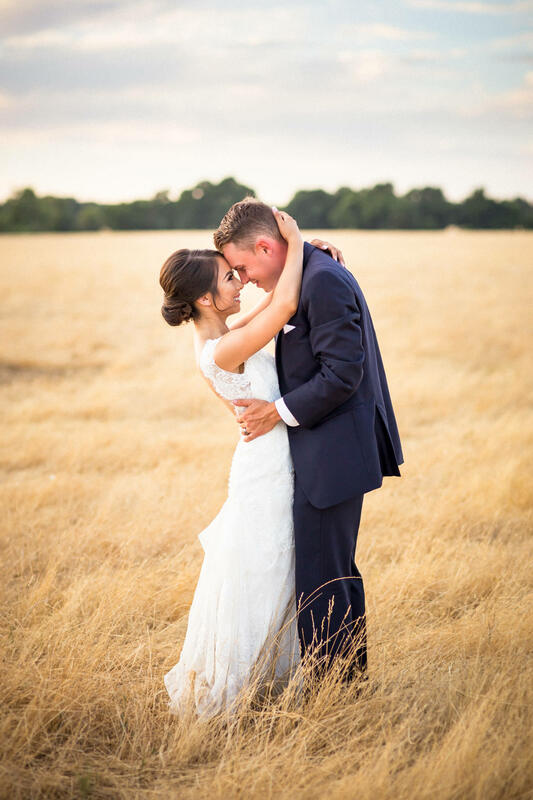 Click on the thumbnails below and “make it bigger” to see full images!